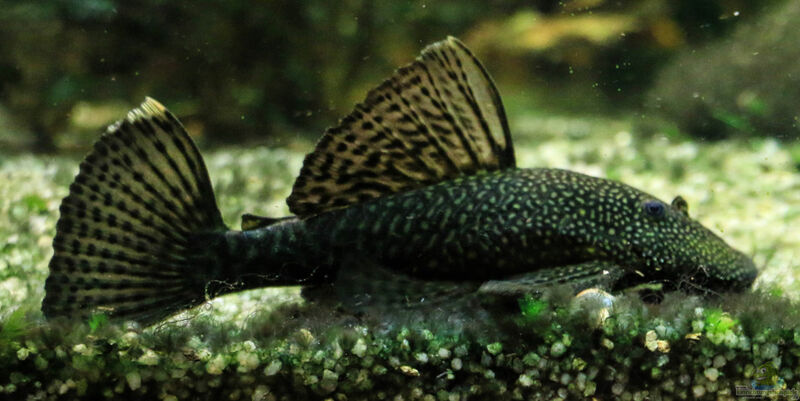 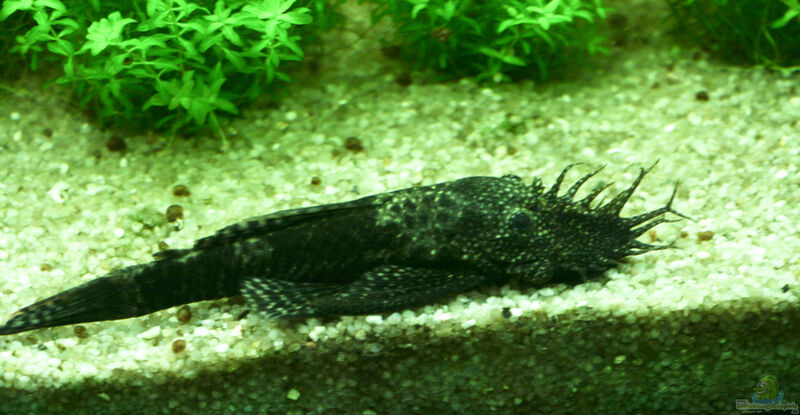 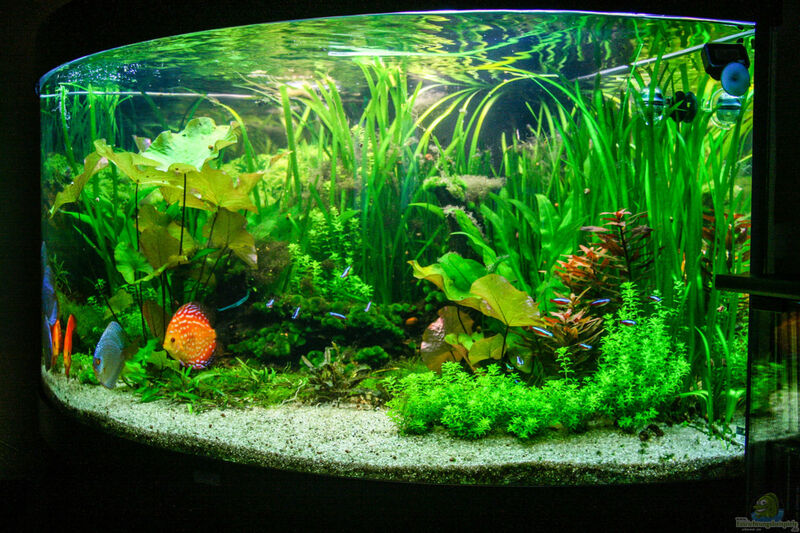 The modern, triangular design of Trigon 350 fits perfectly in any corner of the room, thus ensuring a special Blickfang.Vor especially the curved windscreen, through this curvature produces a minimal lensing in which objects (fish, plants, etc.) 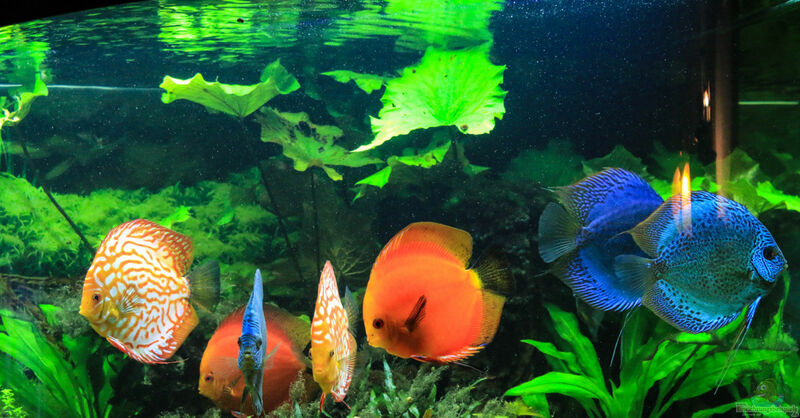 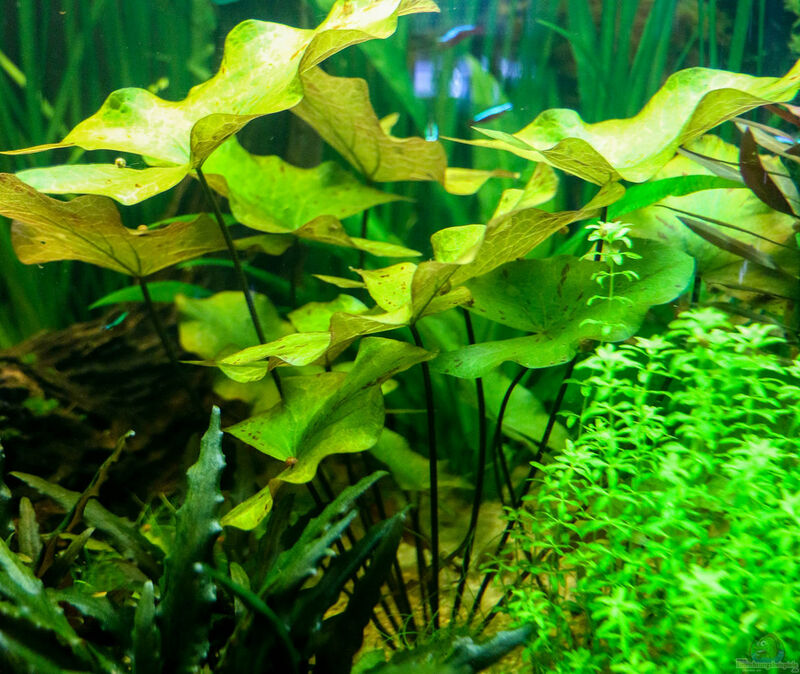 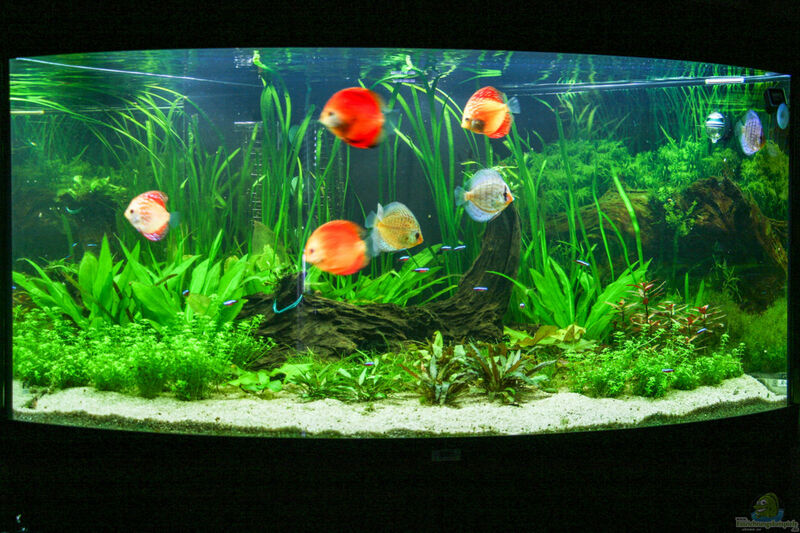 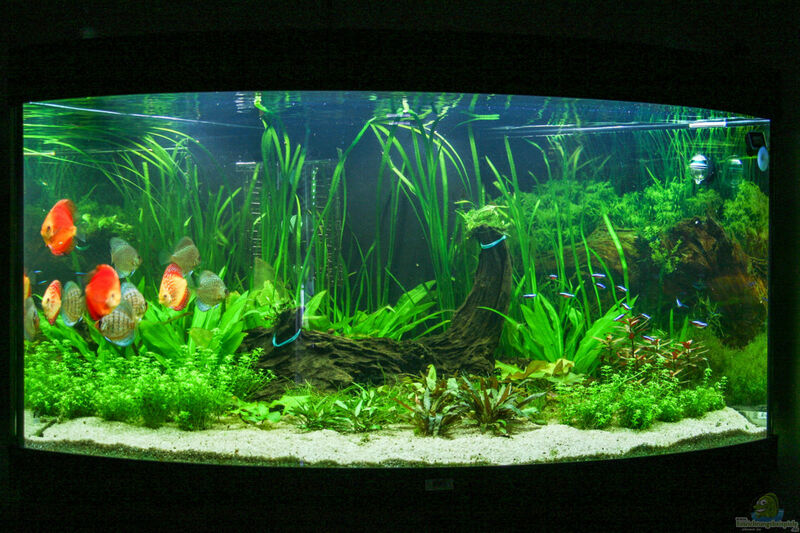 in the middle and rear section the aquarium optically slightly enlarged act. 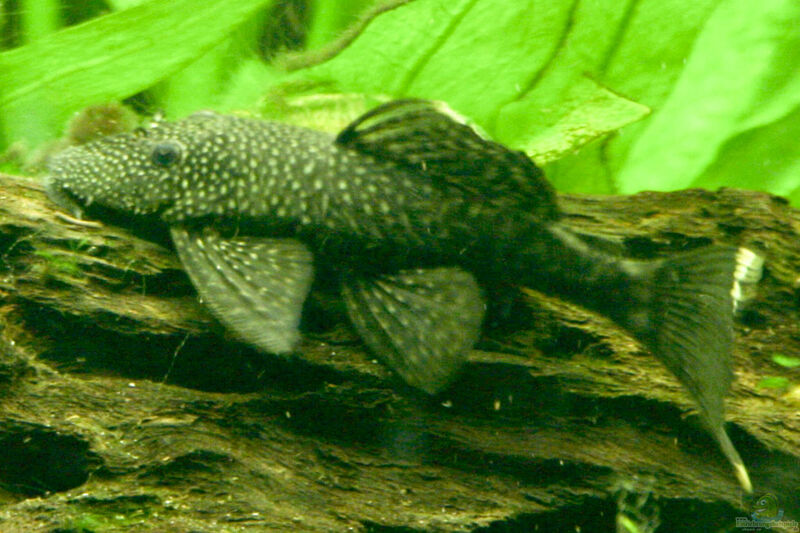 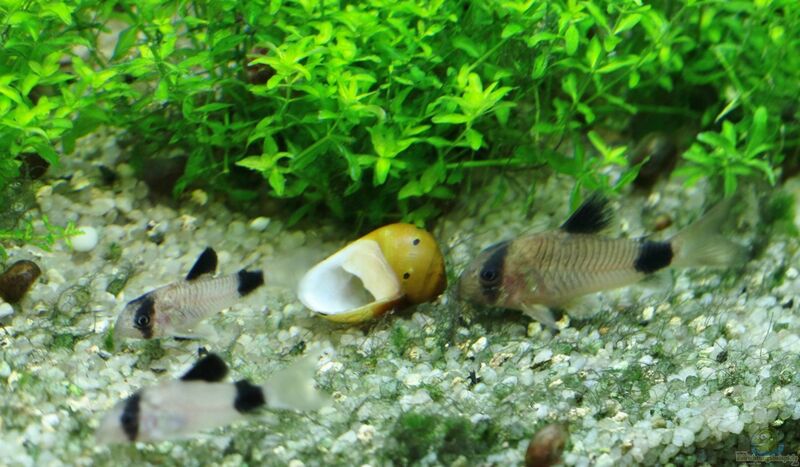 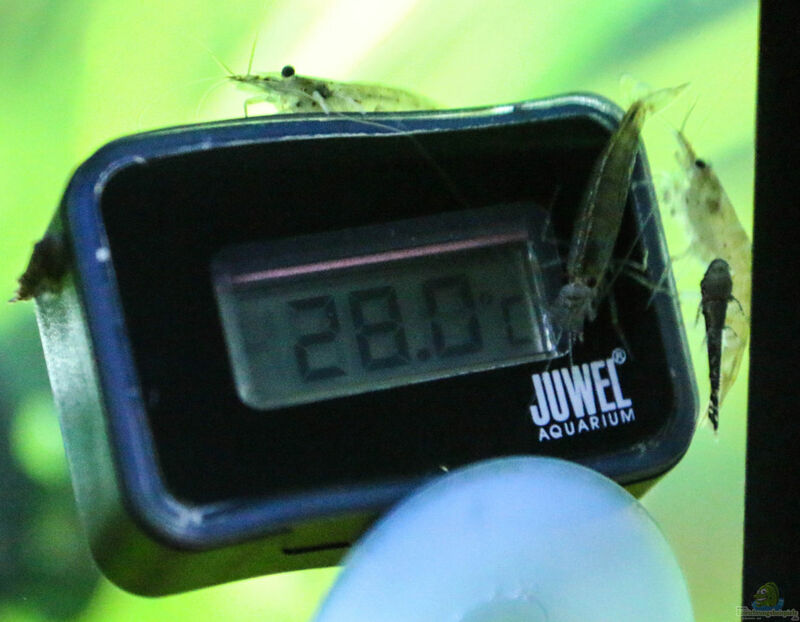 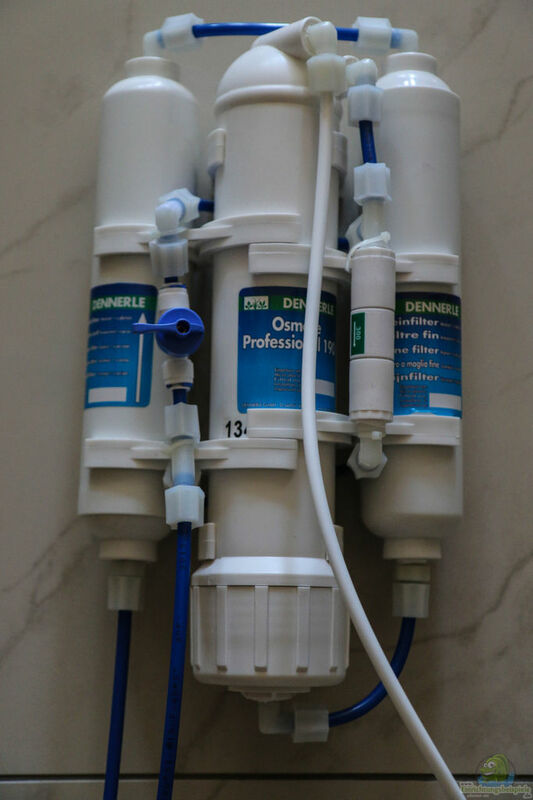 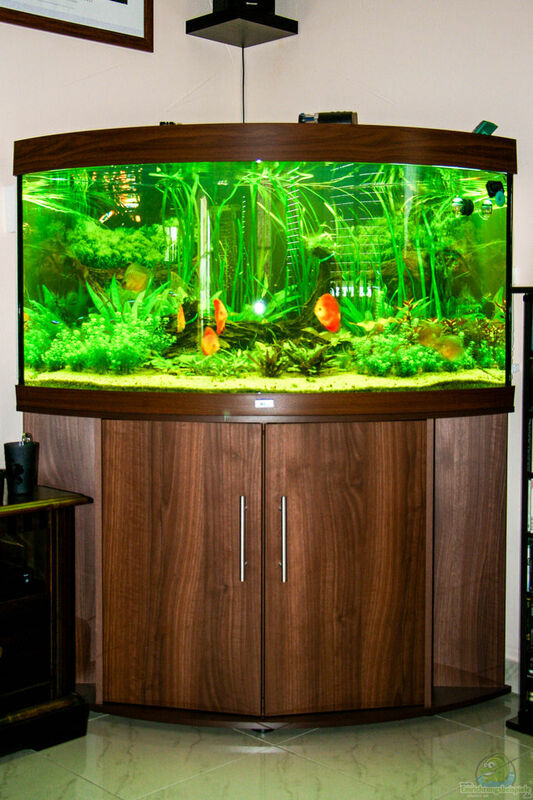 Juwel Aquarium cover with two aquarium lamps. 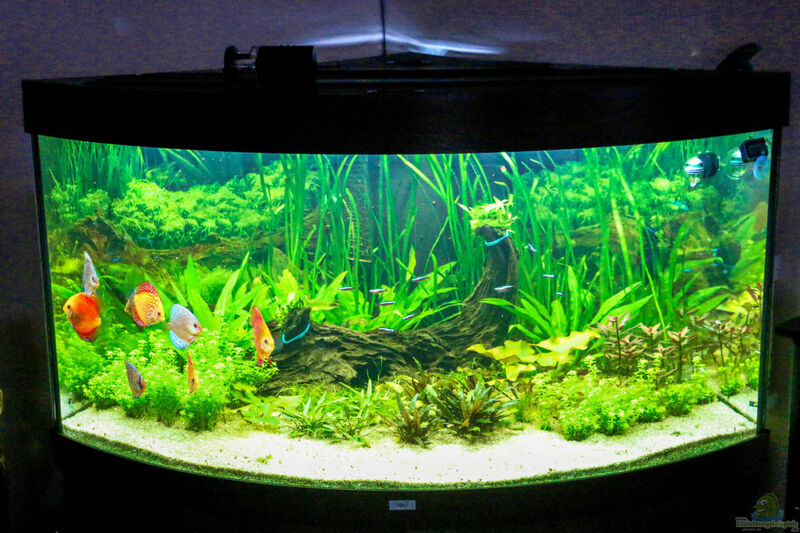 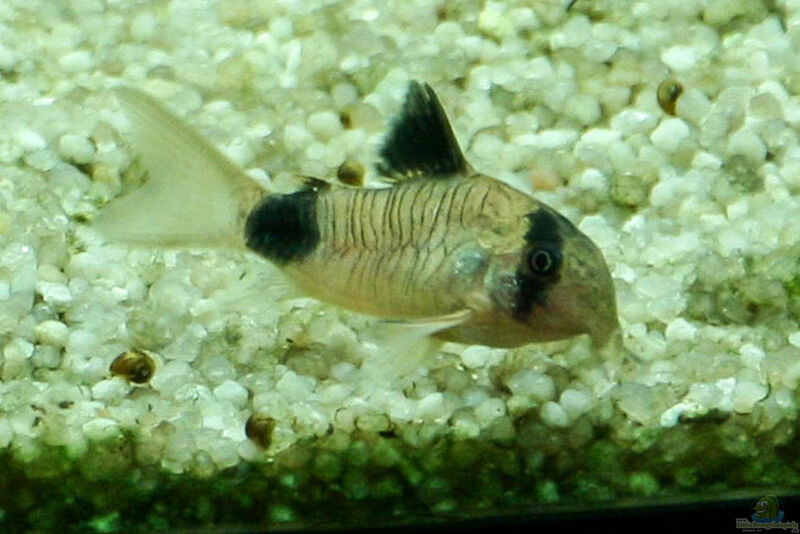 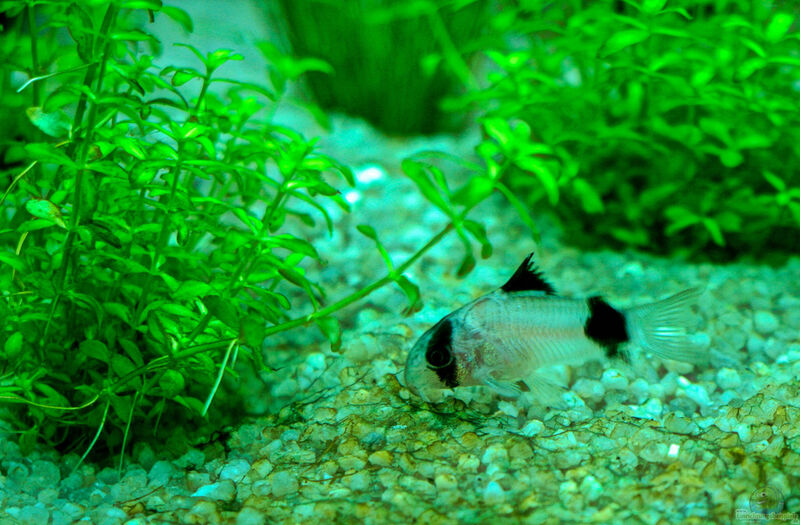 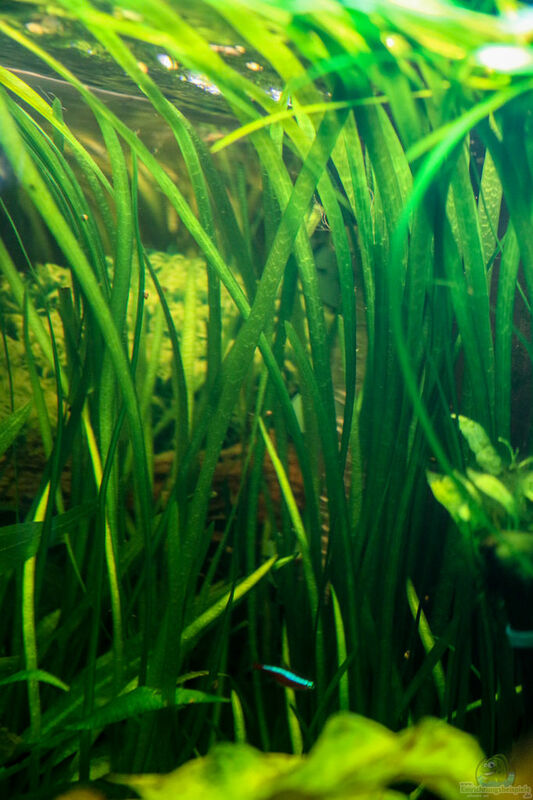 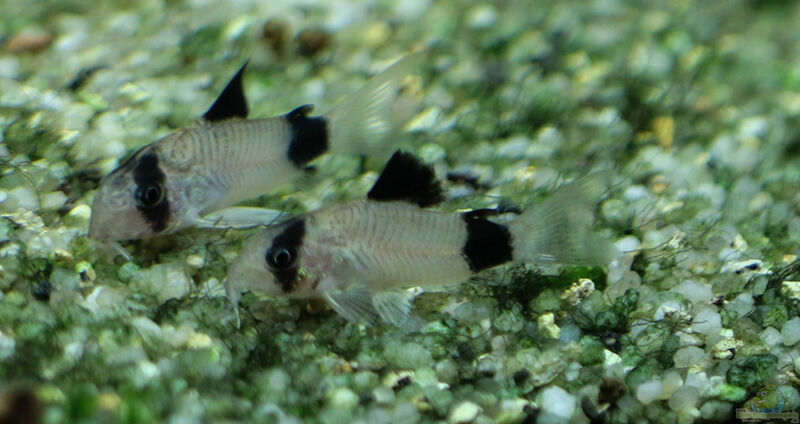 1x LED strip 50cm daylight white "blueline hunting"
1x LED strip 90cm daylight white "blueline hunting"
The water is treated with Easy-Life fluid filter medium. 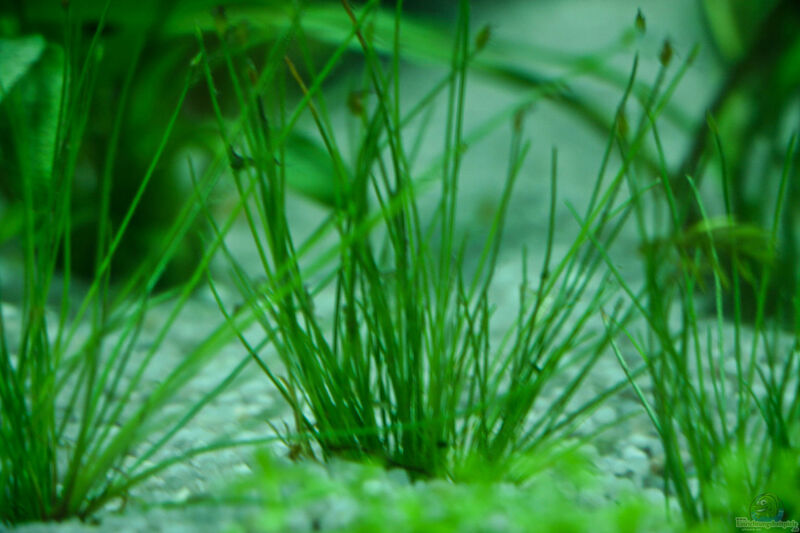 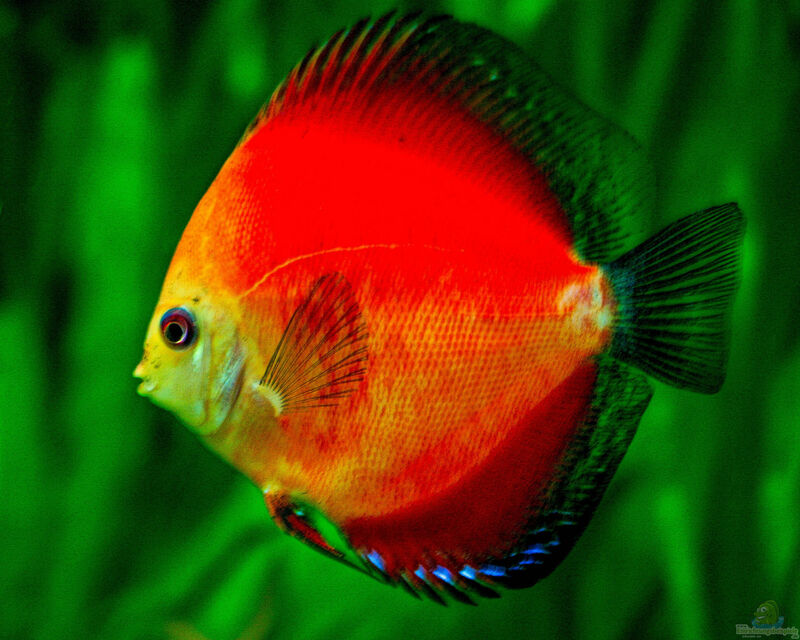 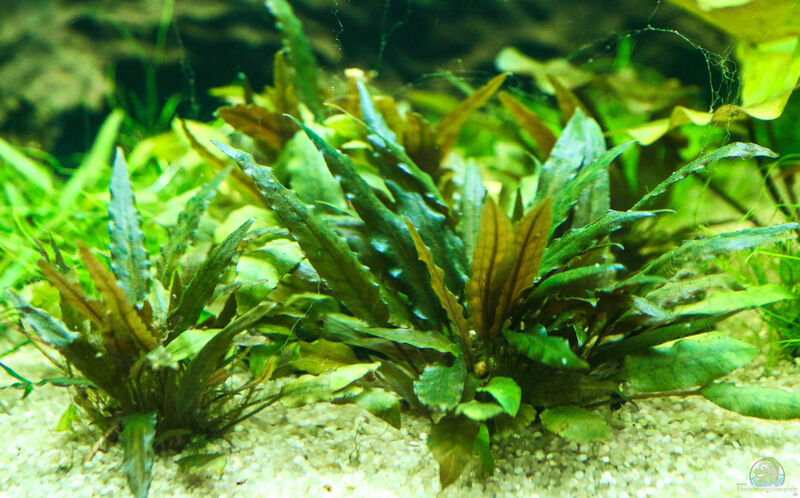 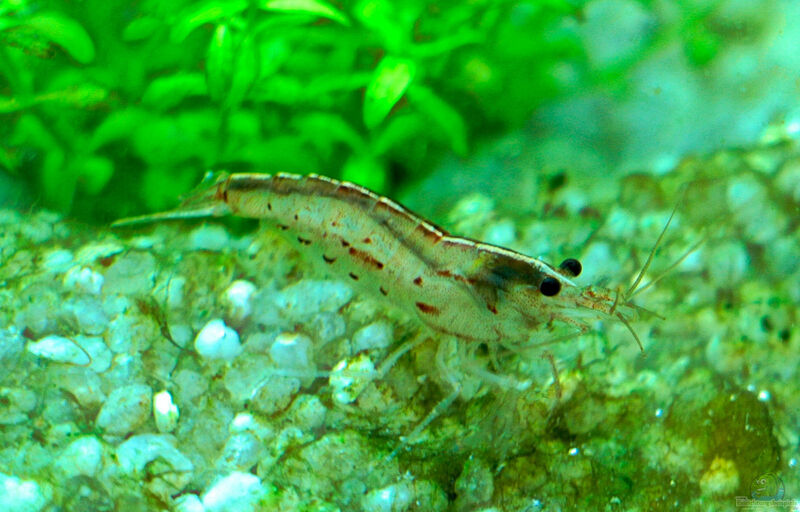 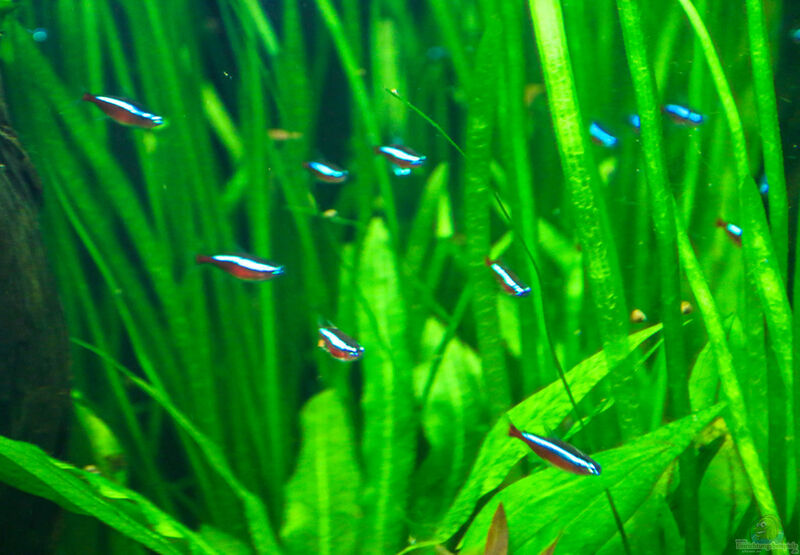 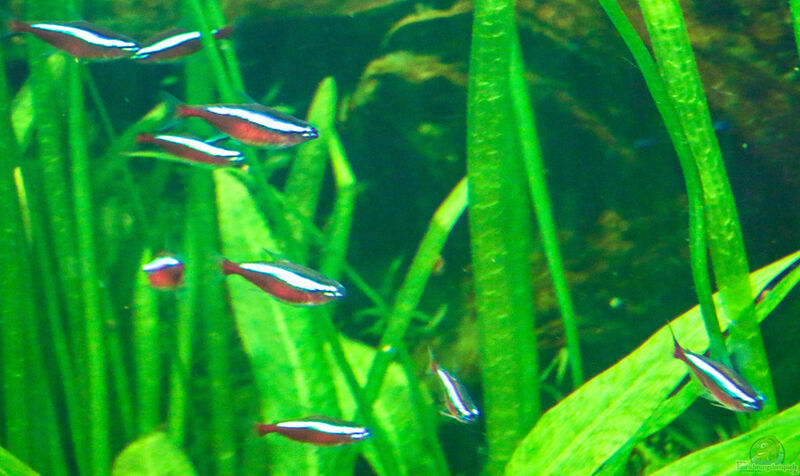 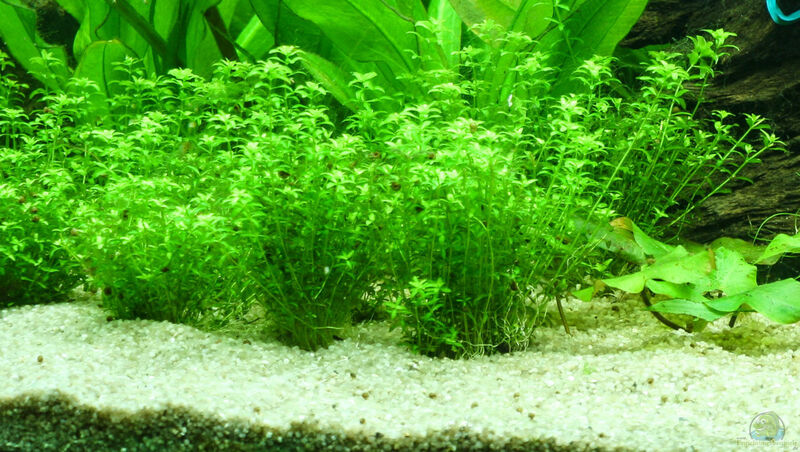 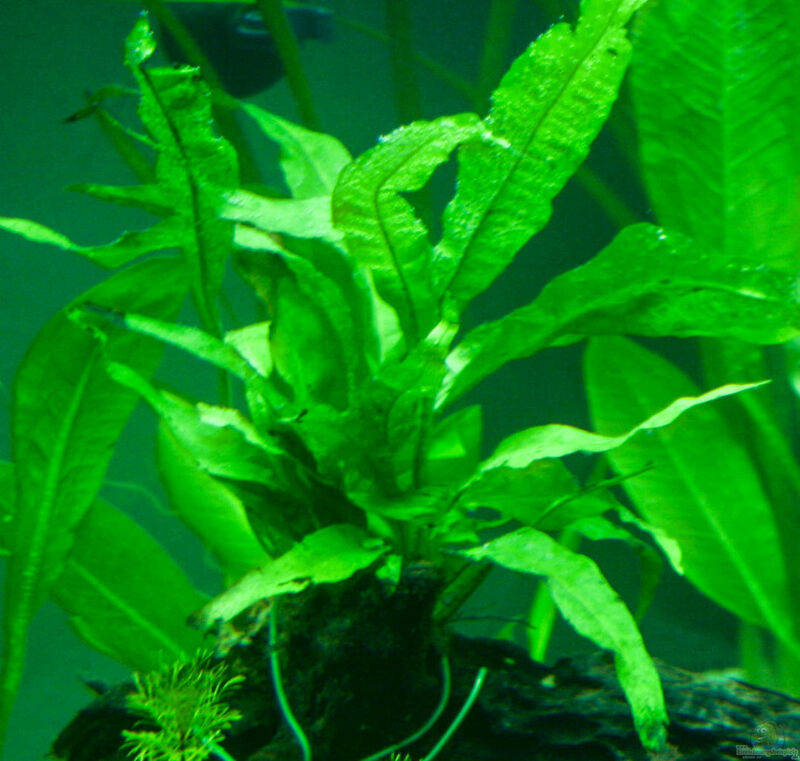 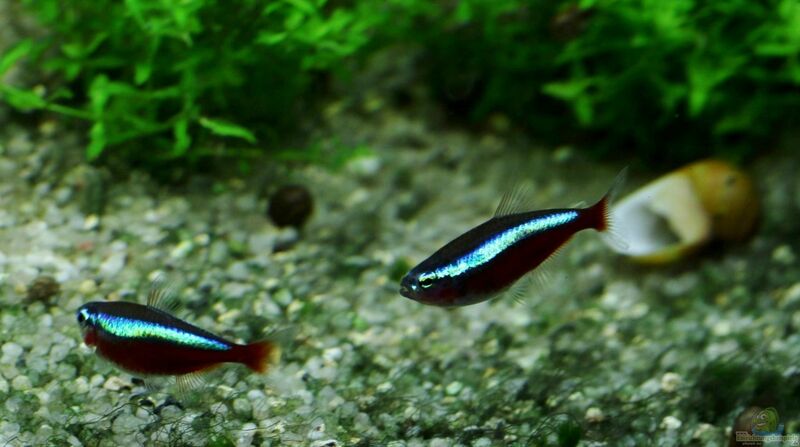 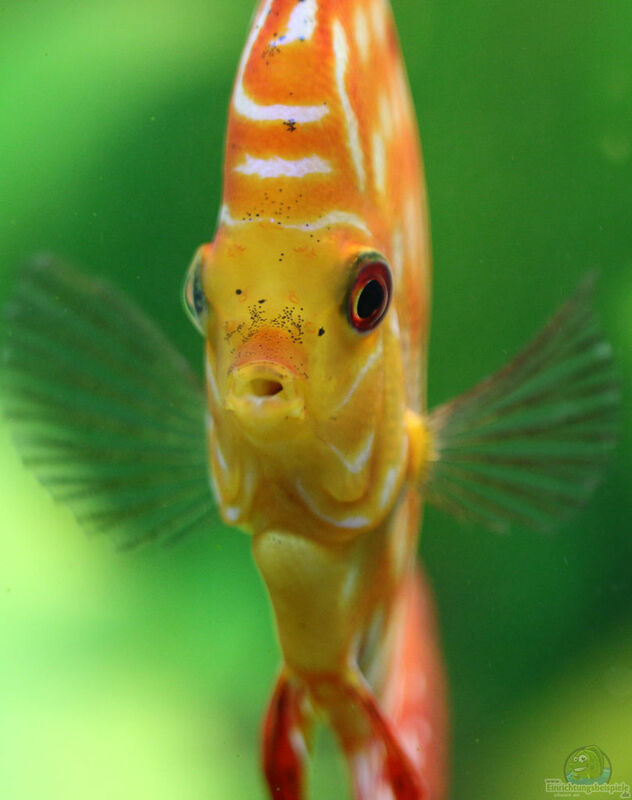 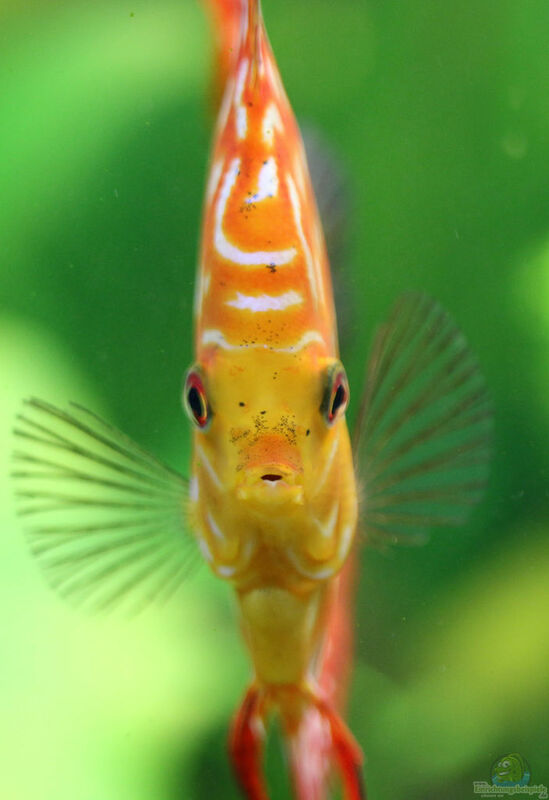 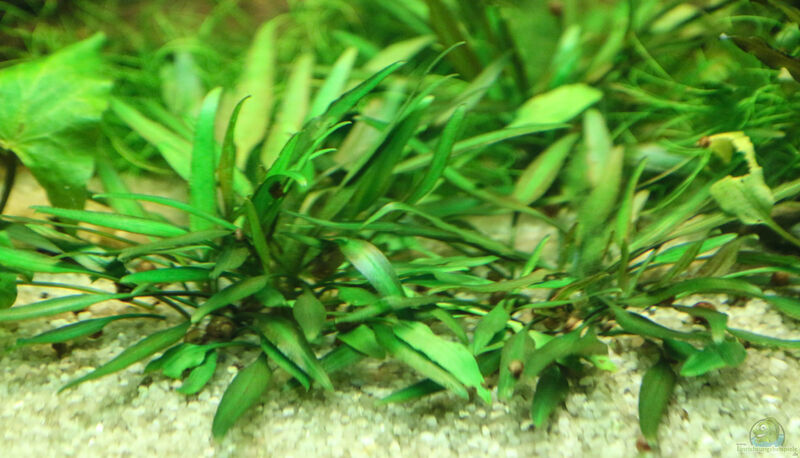 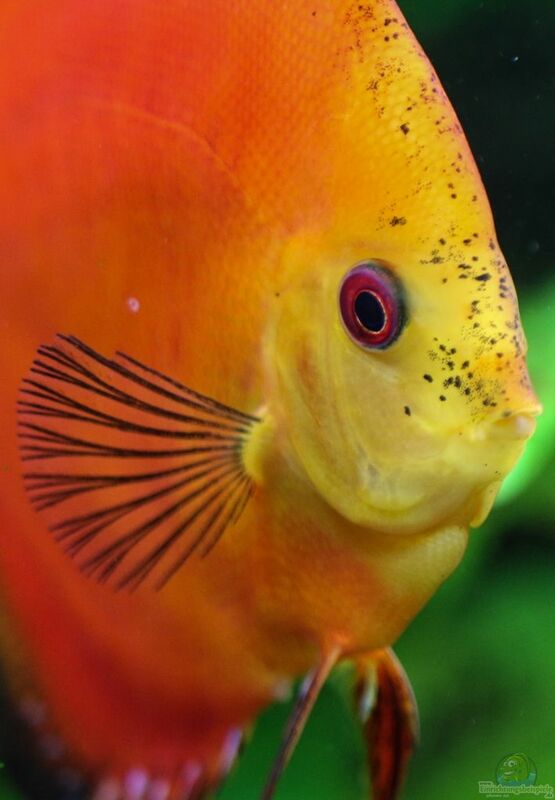 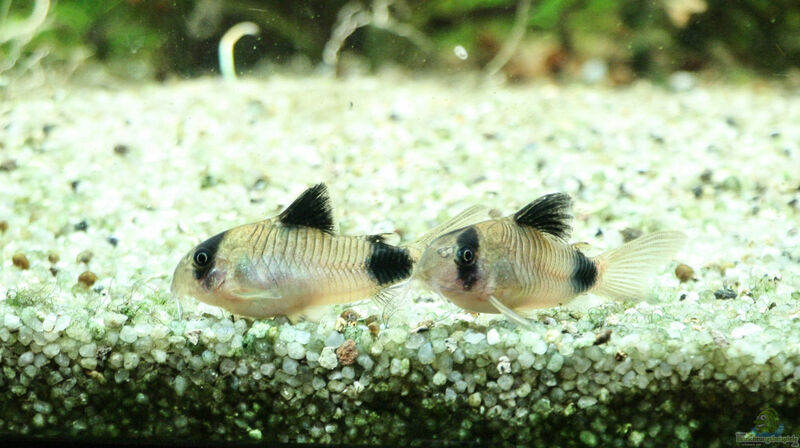 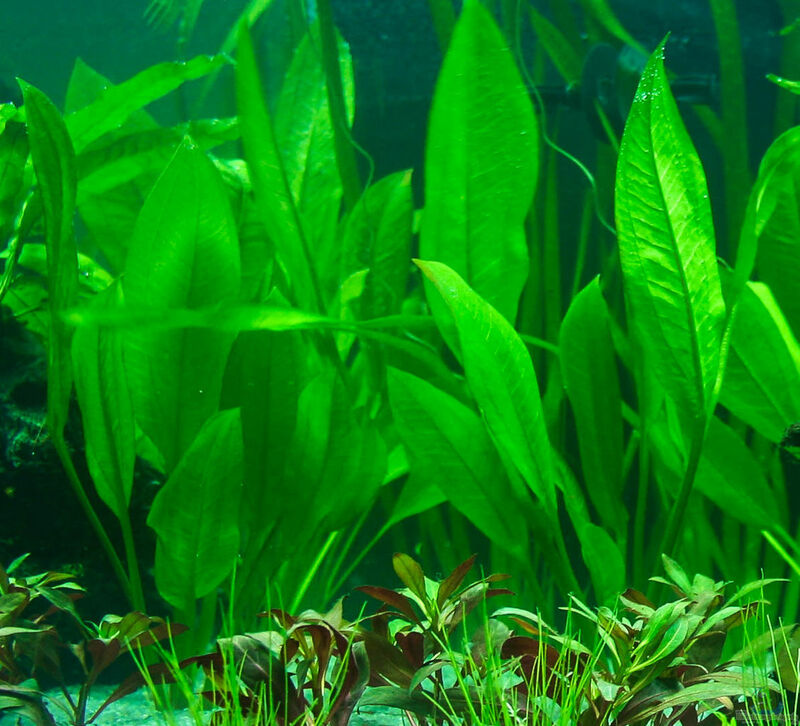 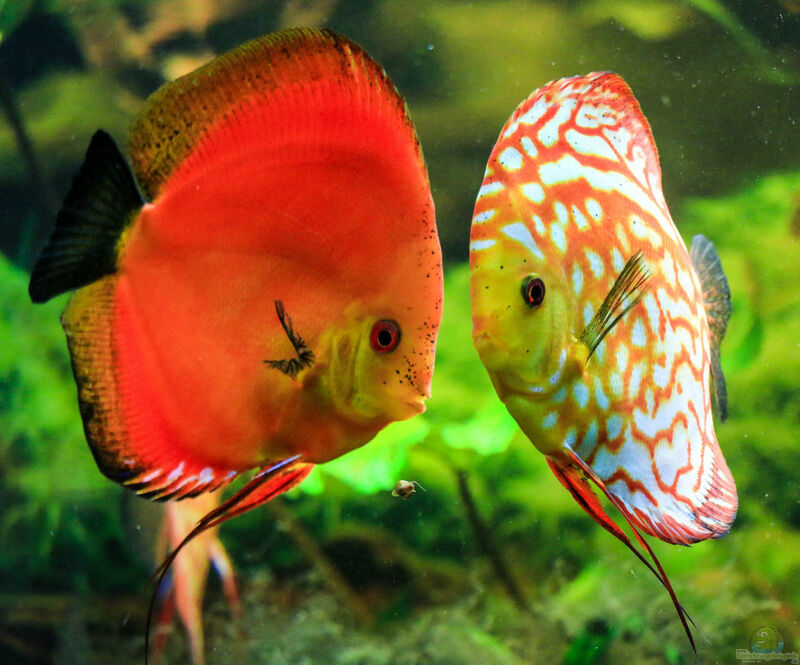 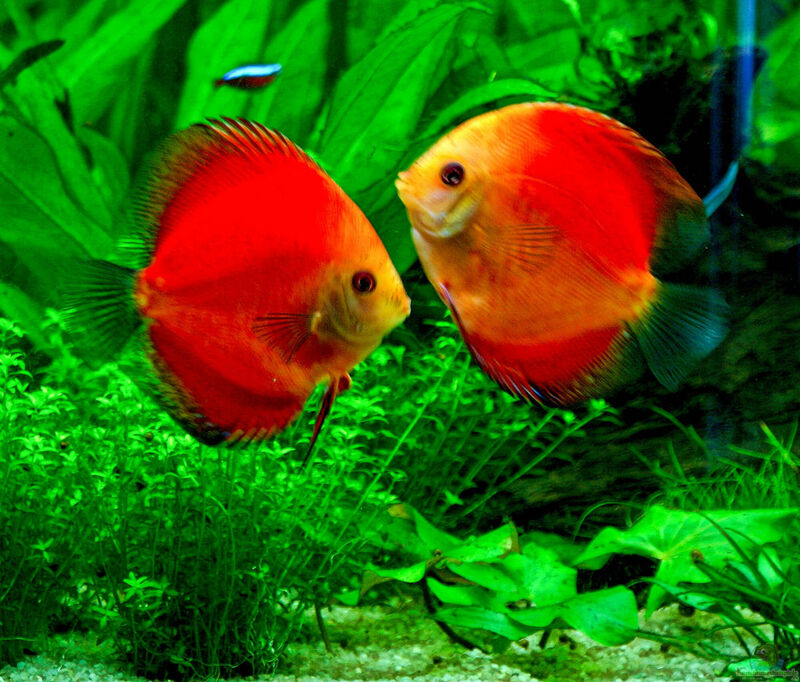 Artemia, Discus Quick Red intensive. 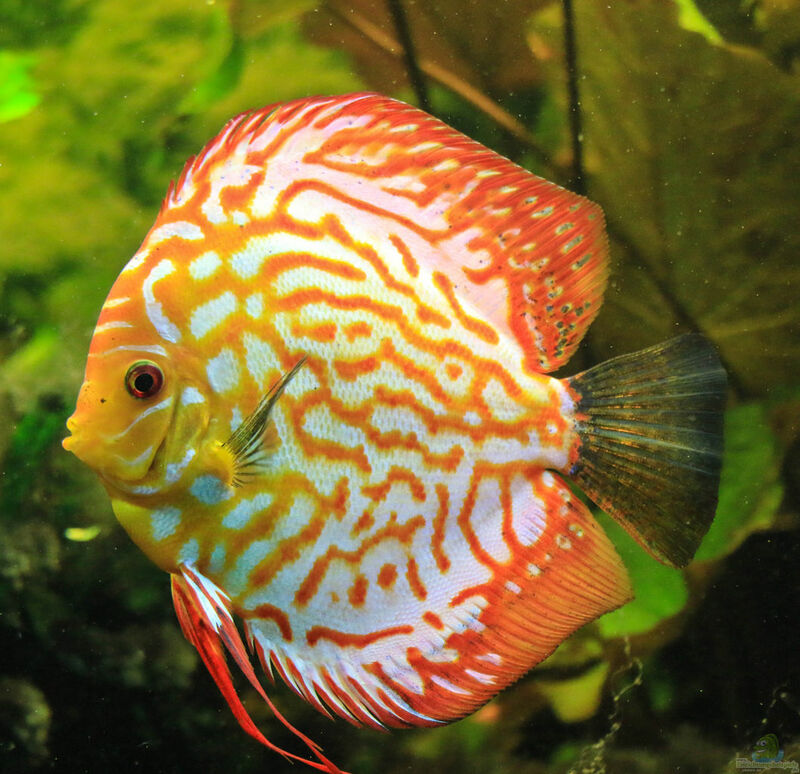 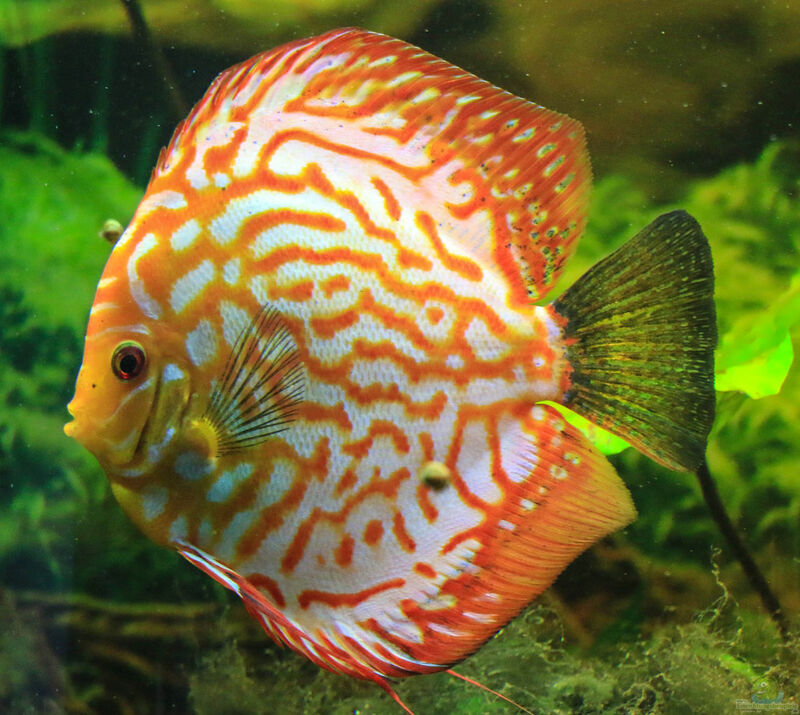 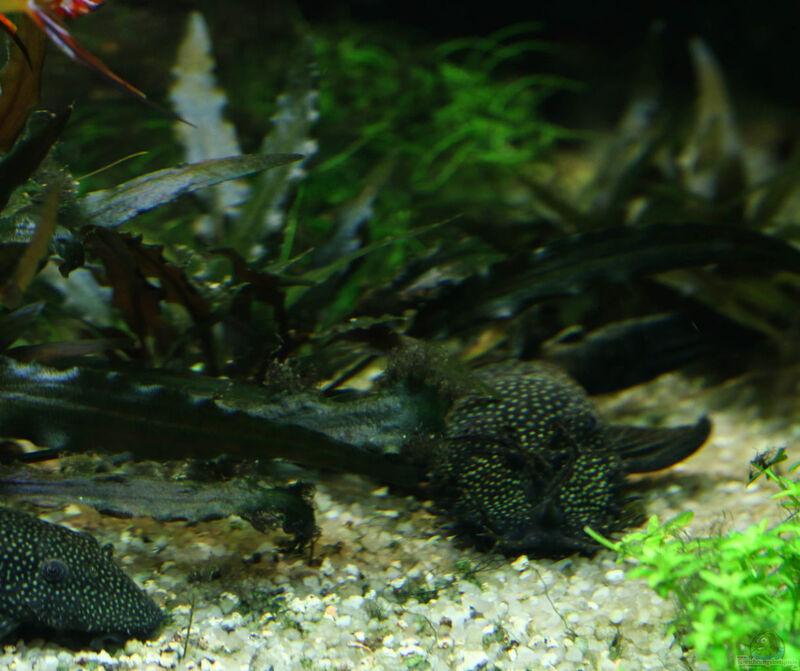 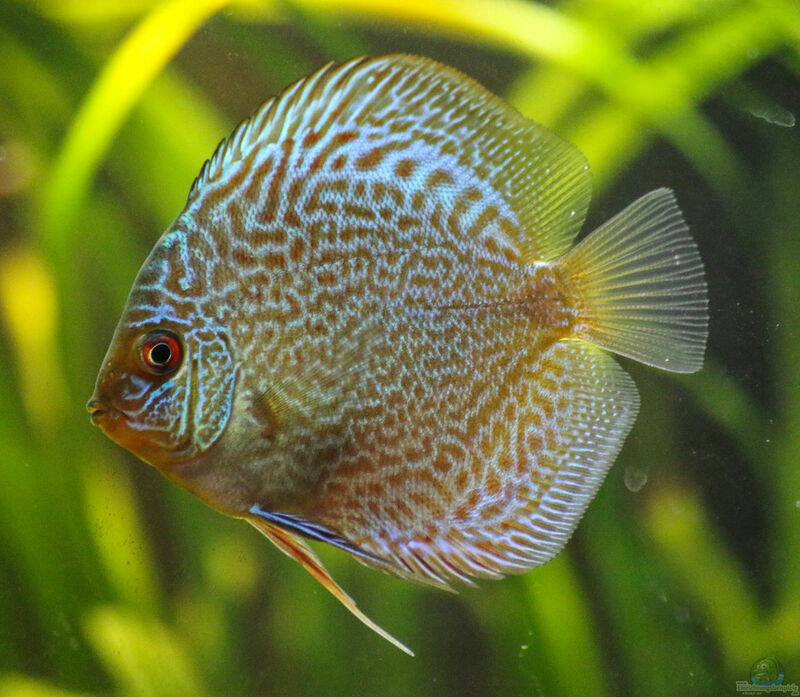 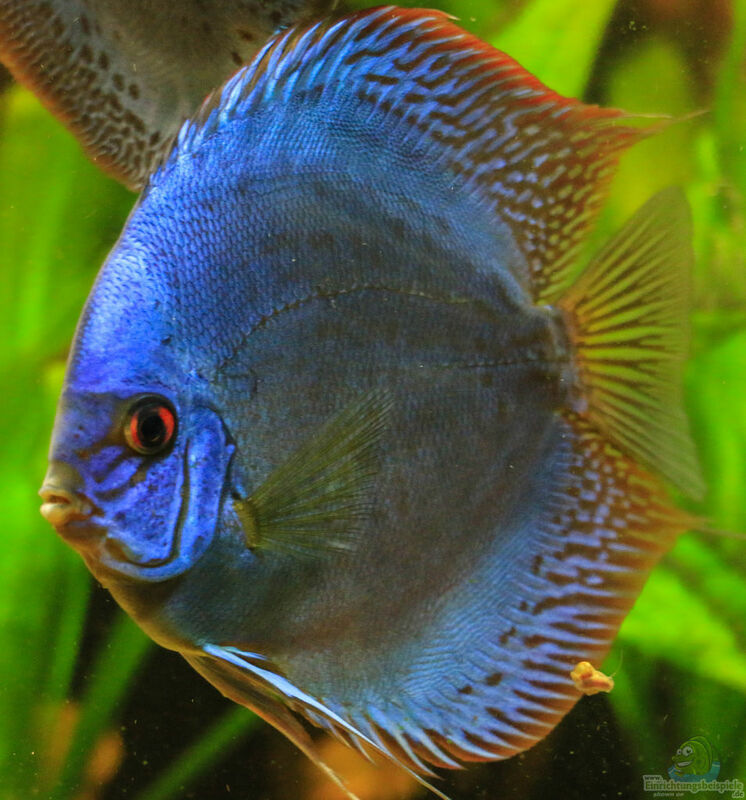 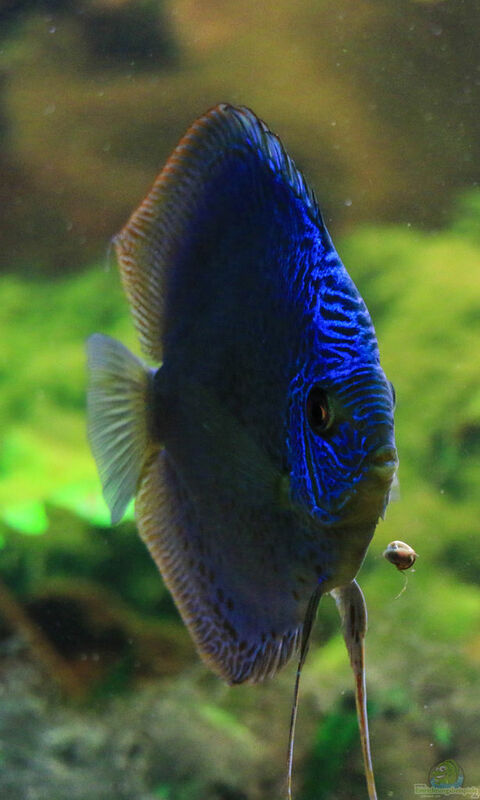 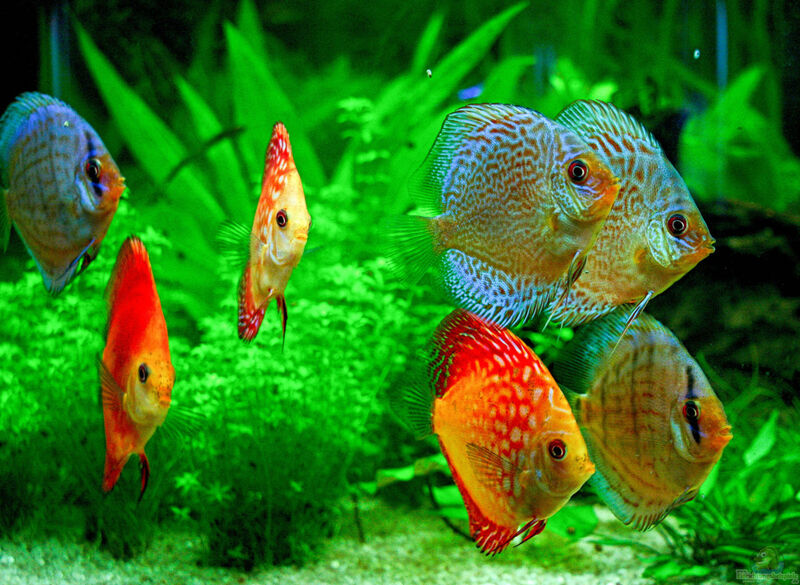 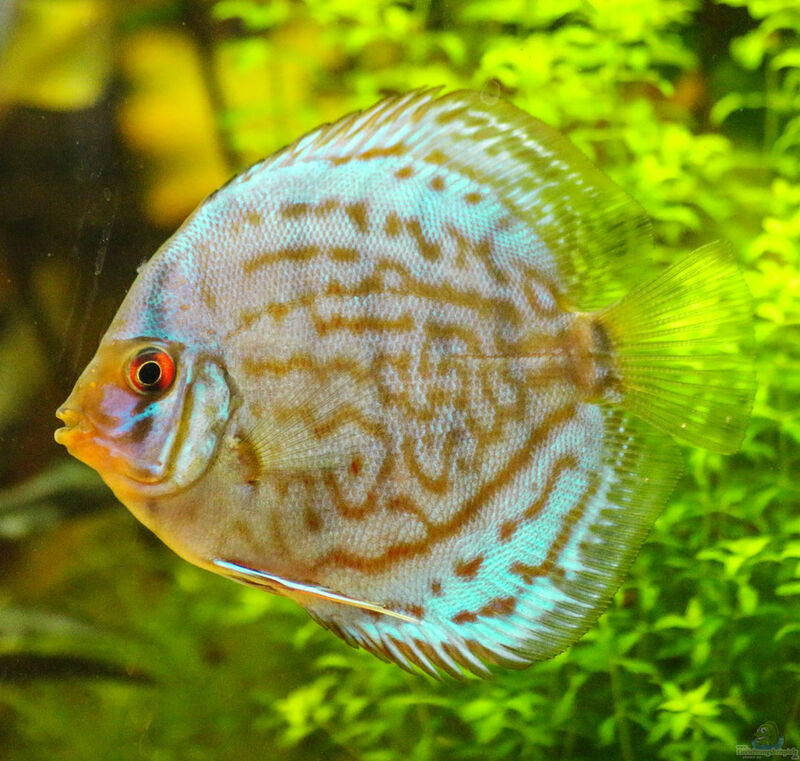 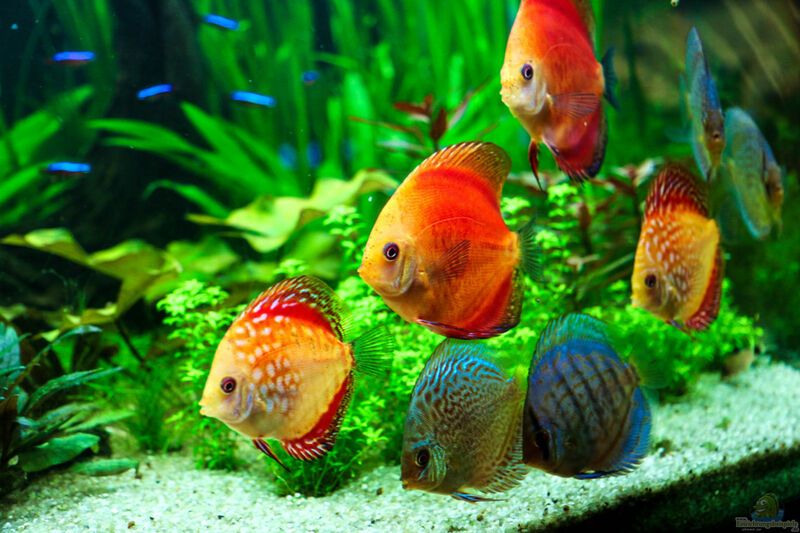 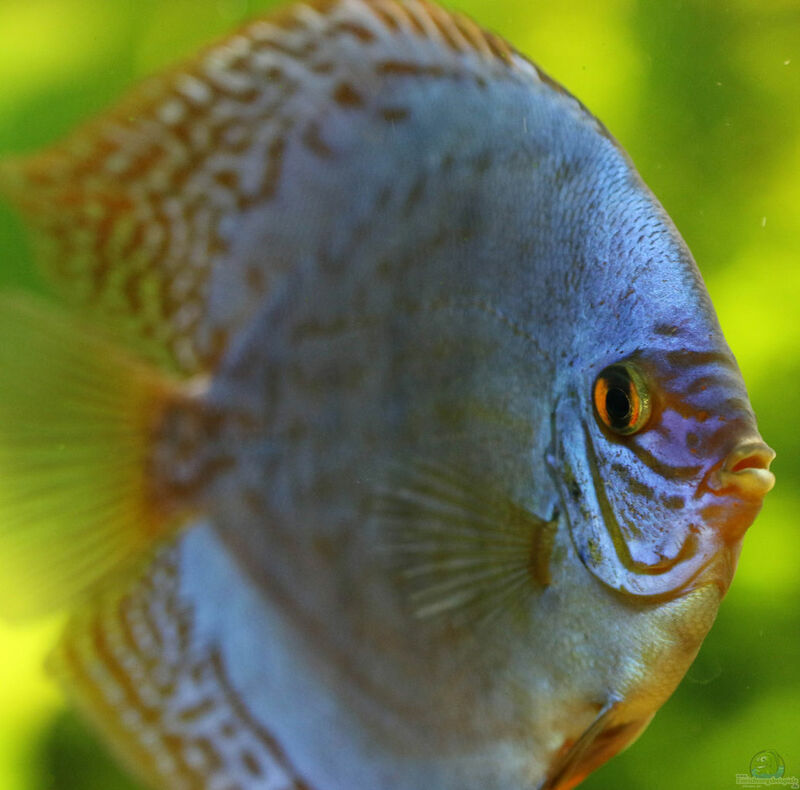 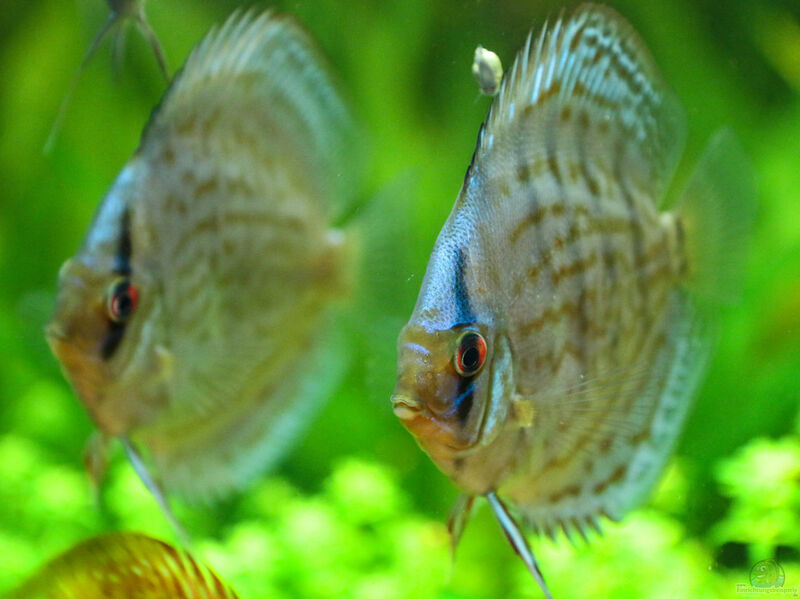 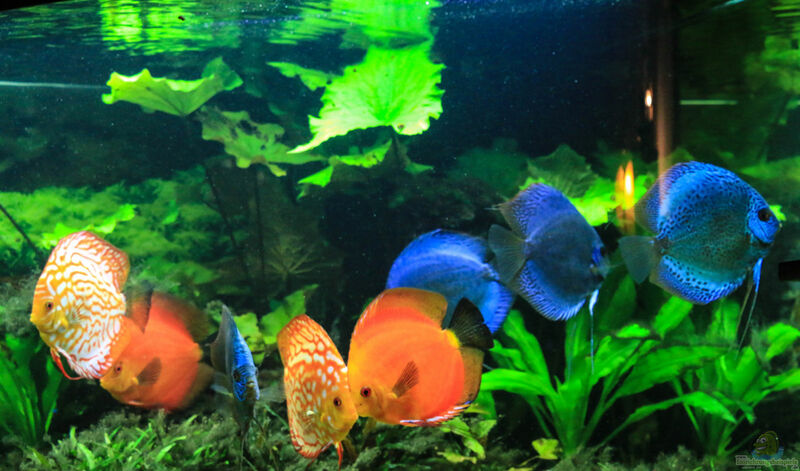 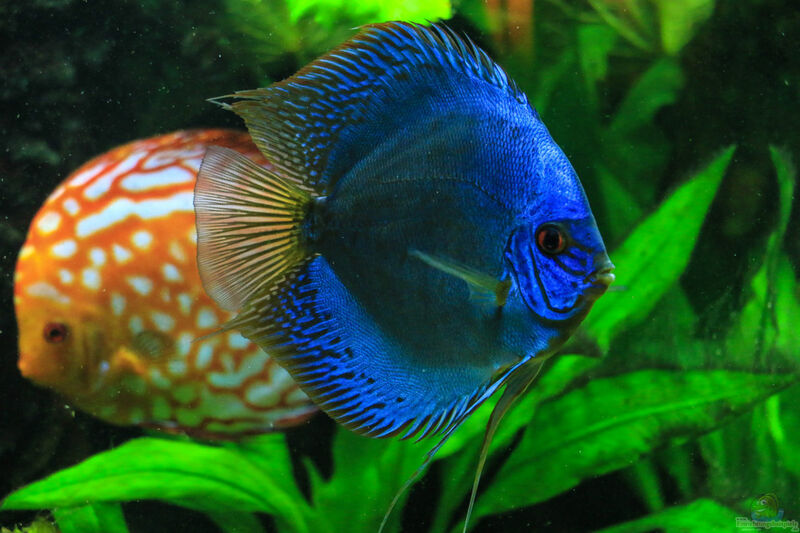 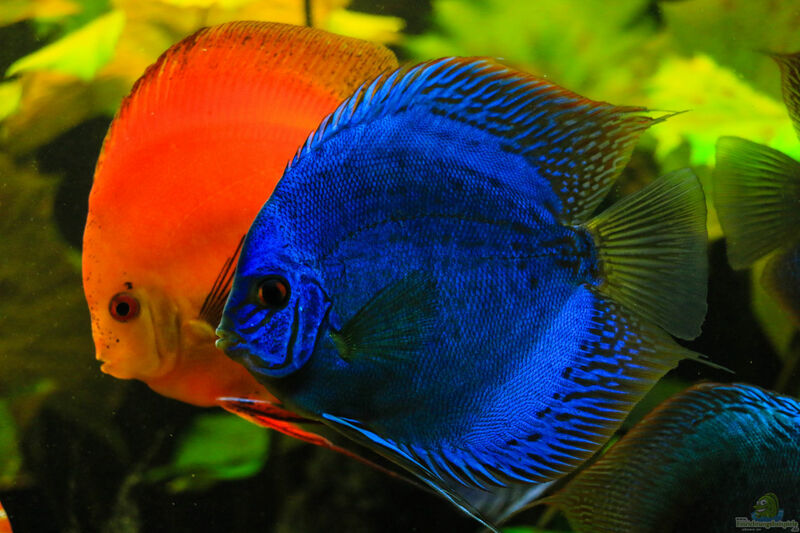 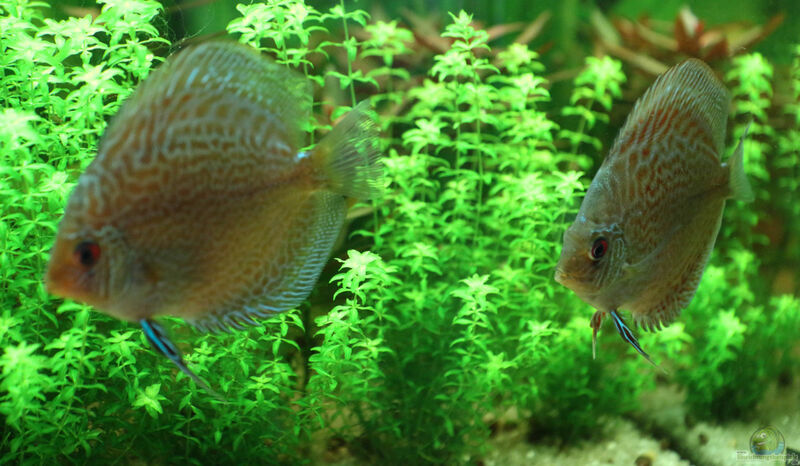 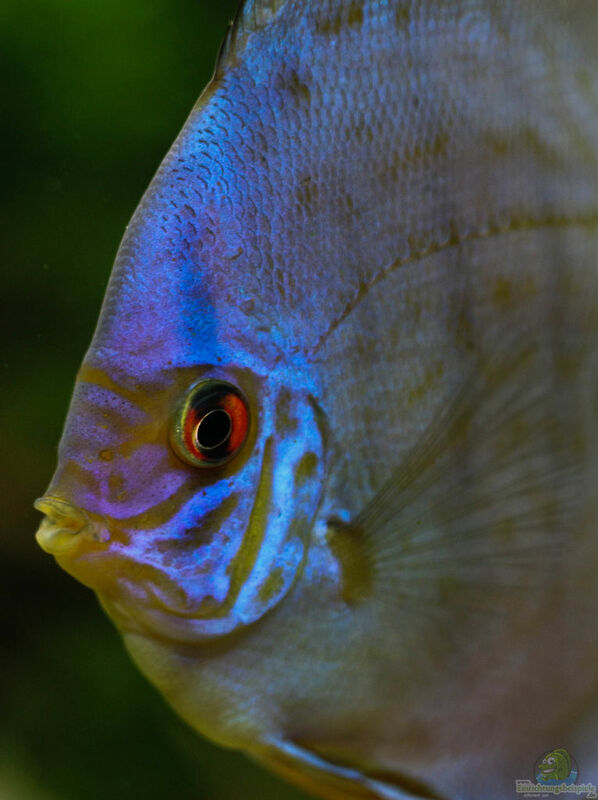 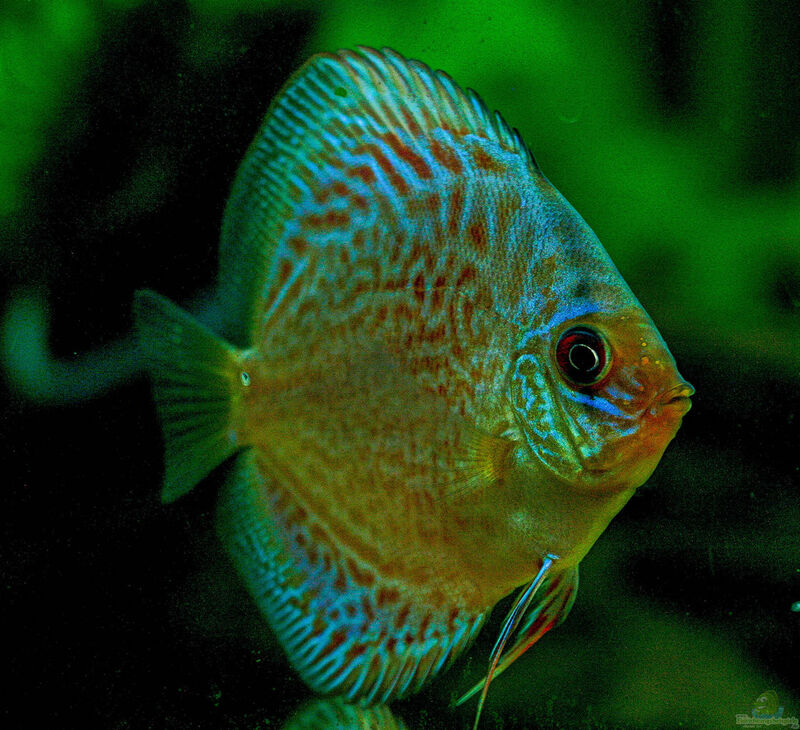 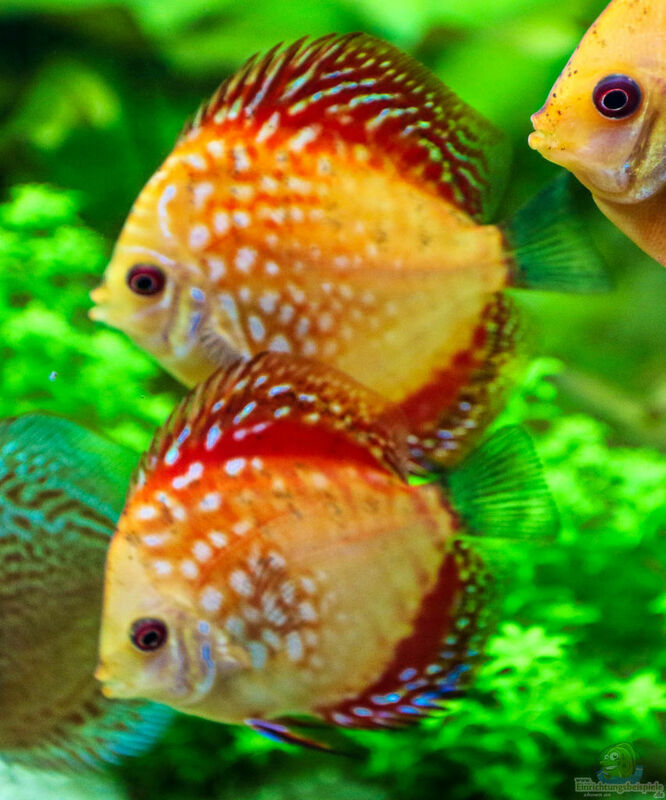 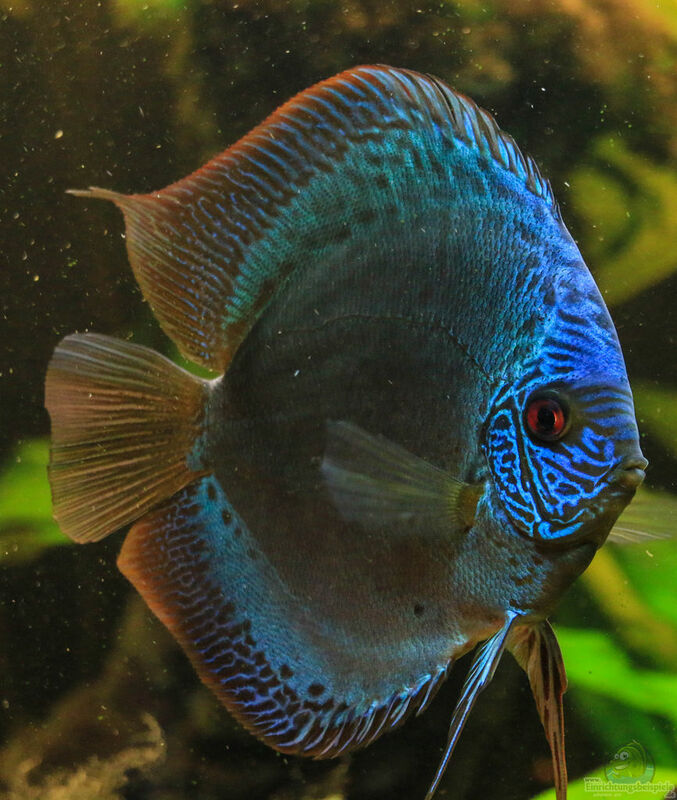 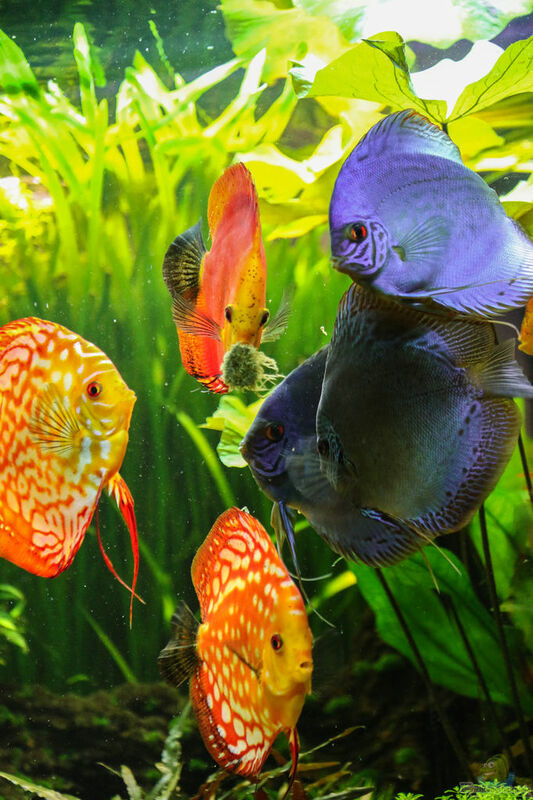 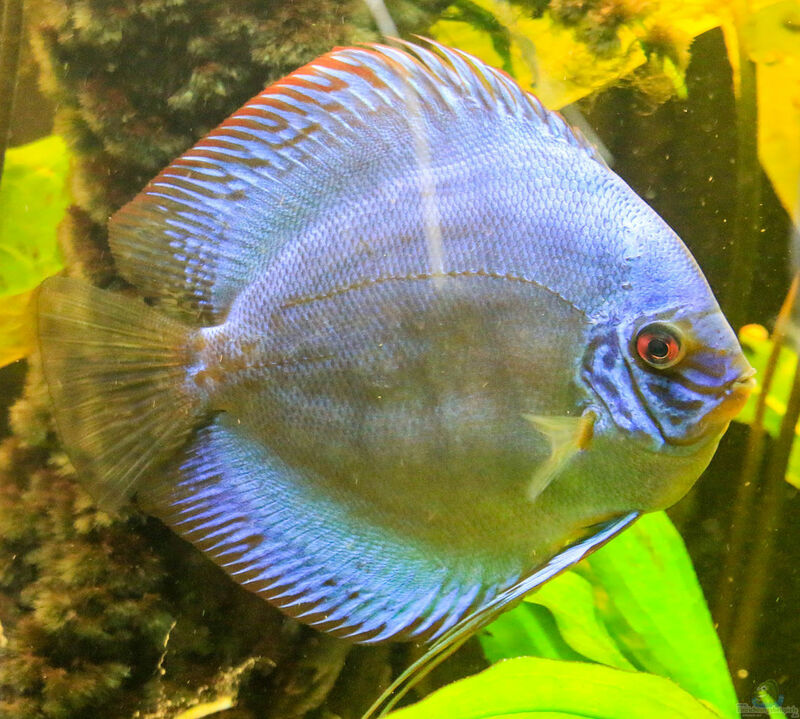 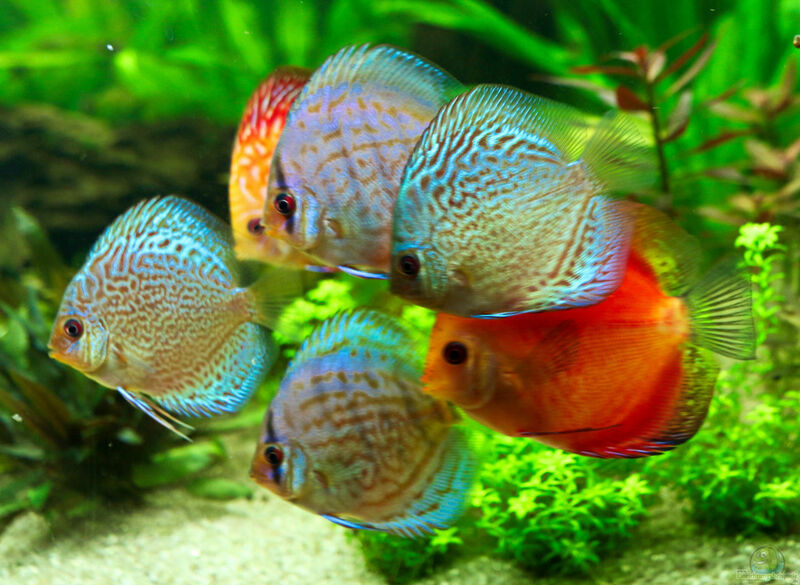 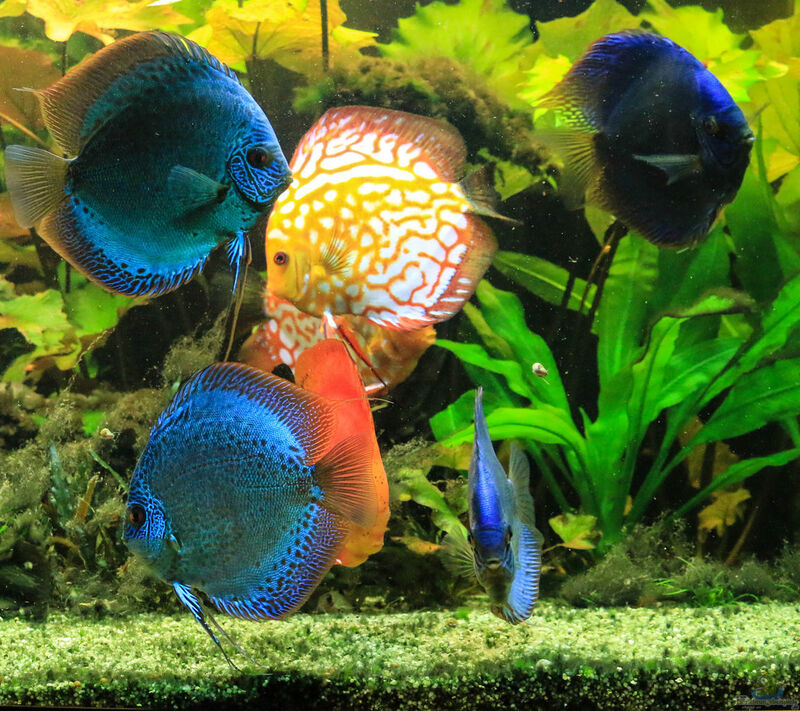 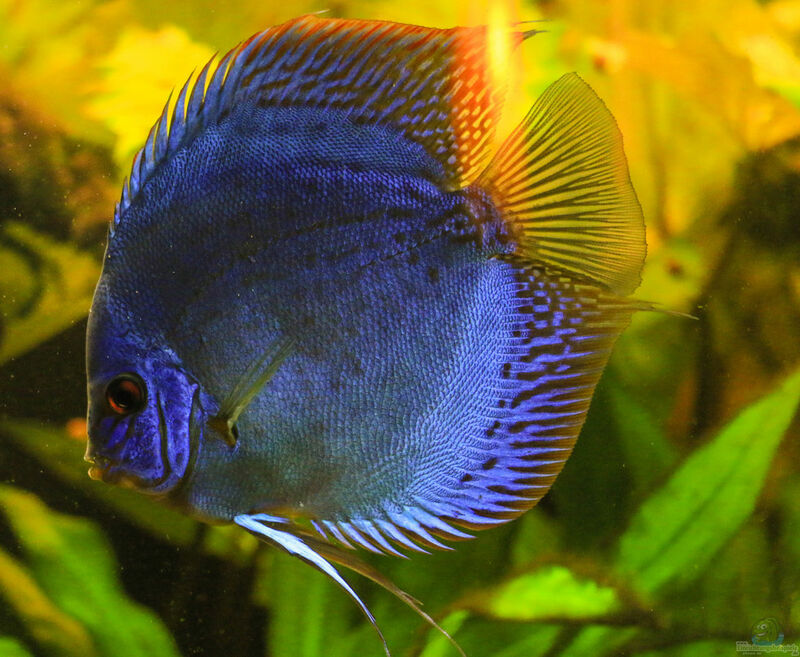 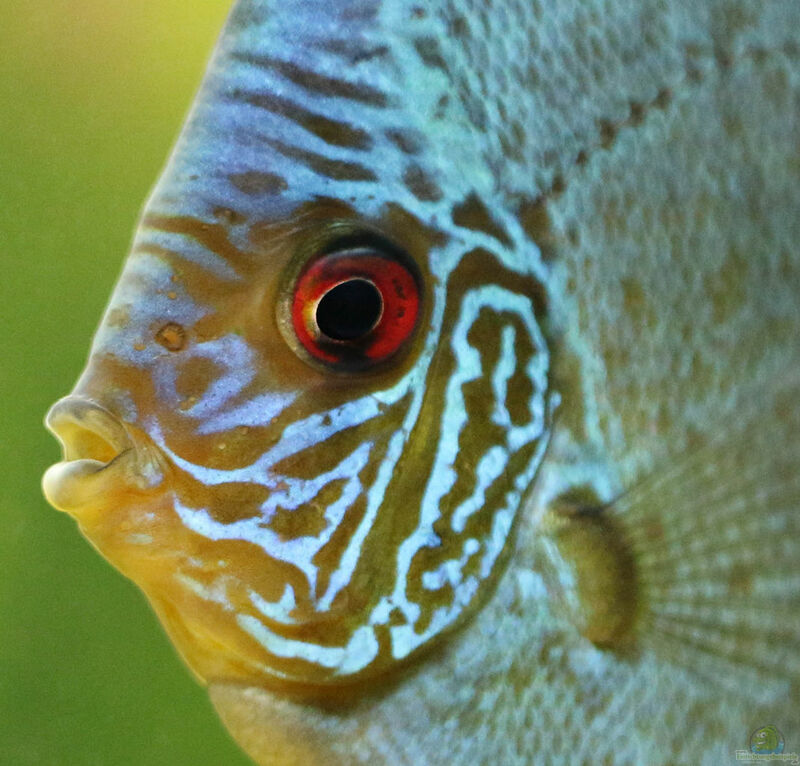 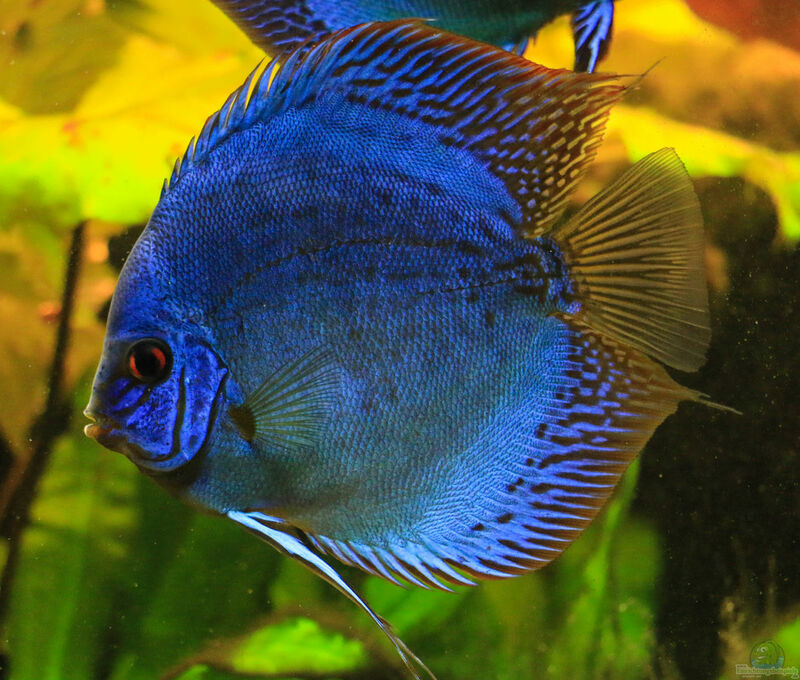 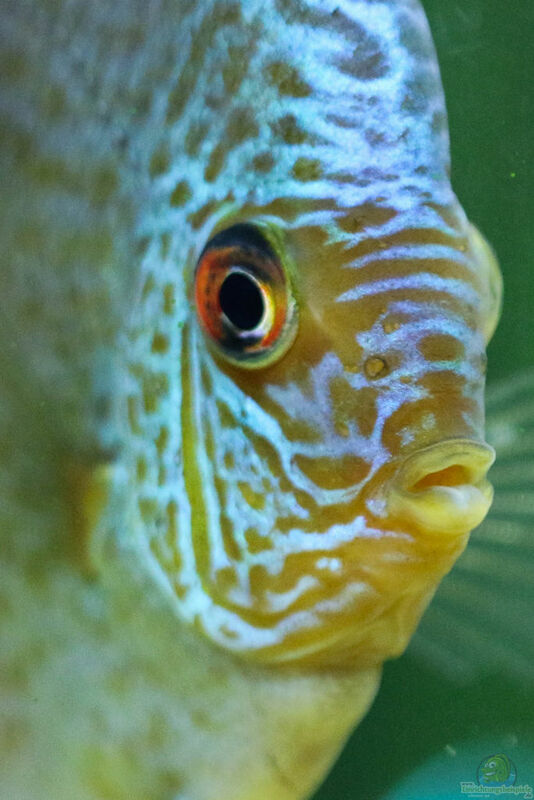 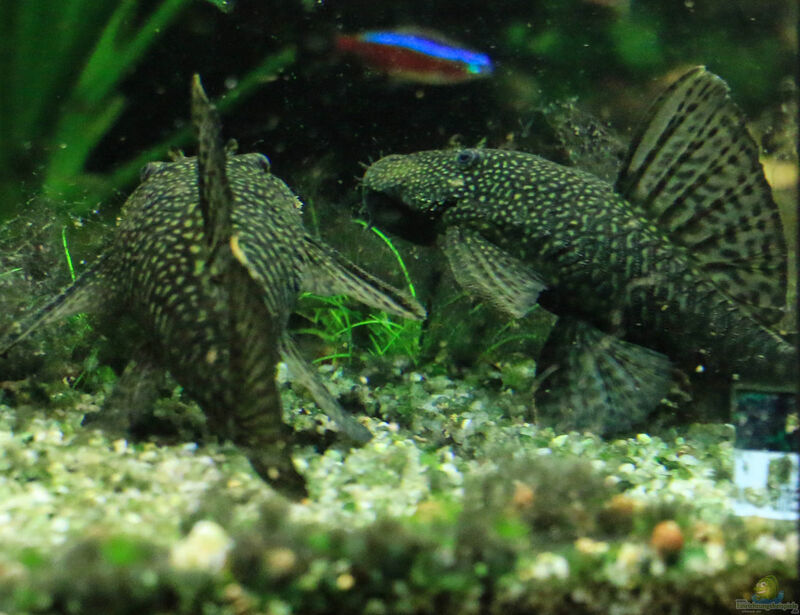 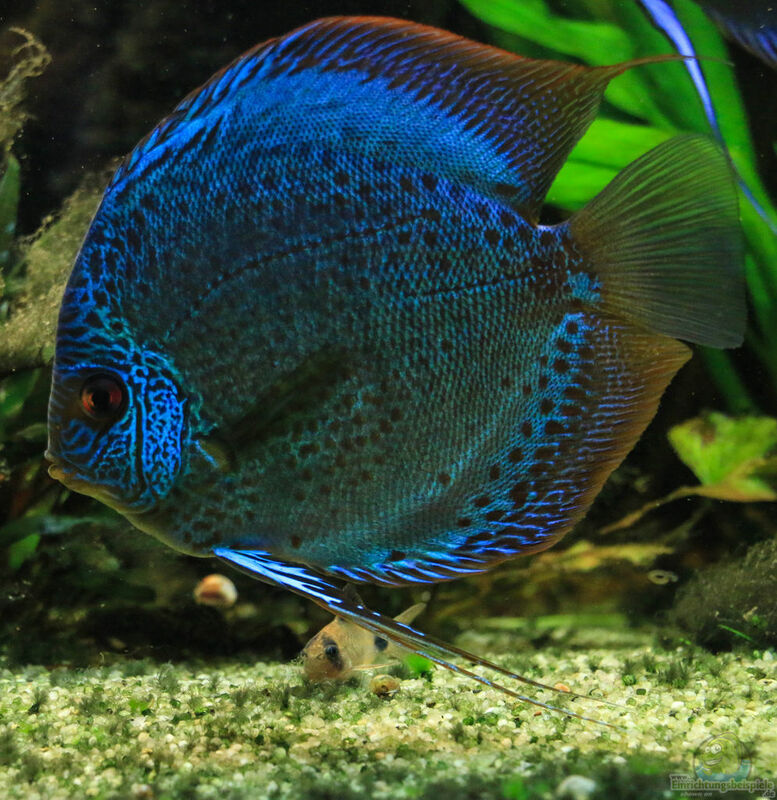 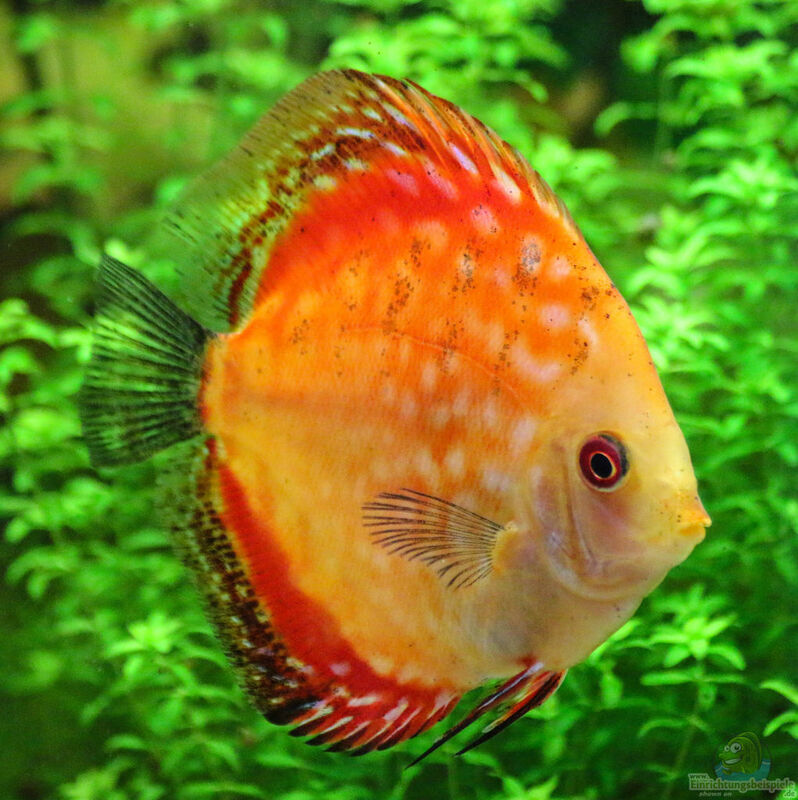 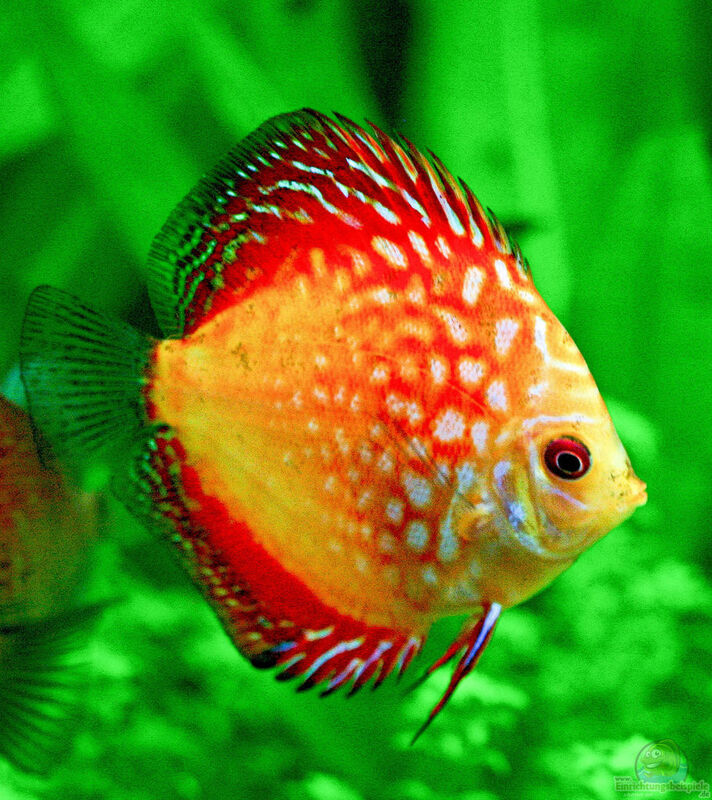 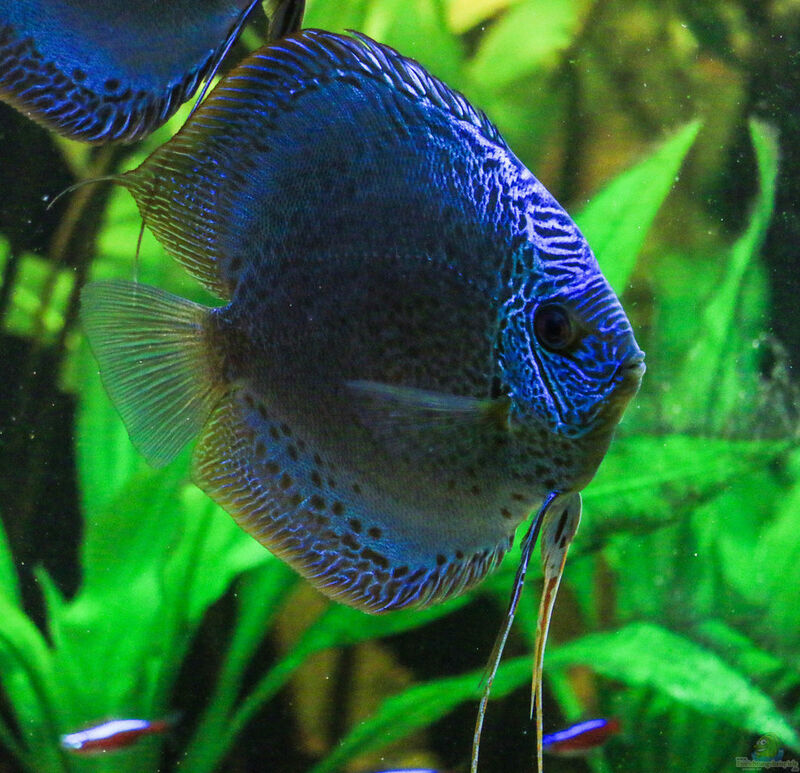 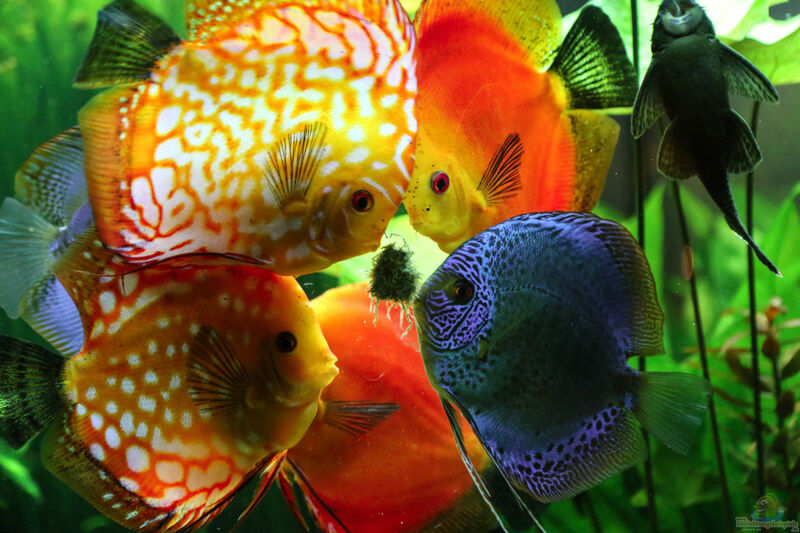 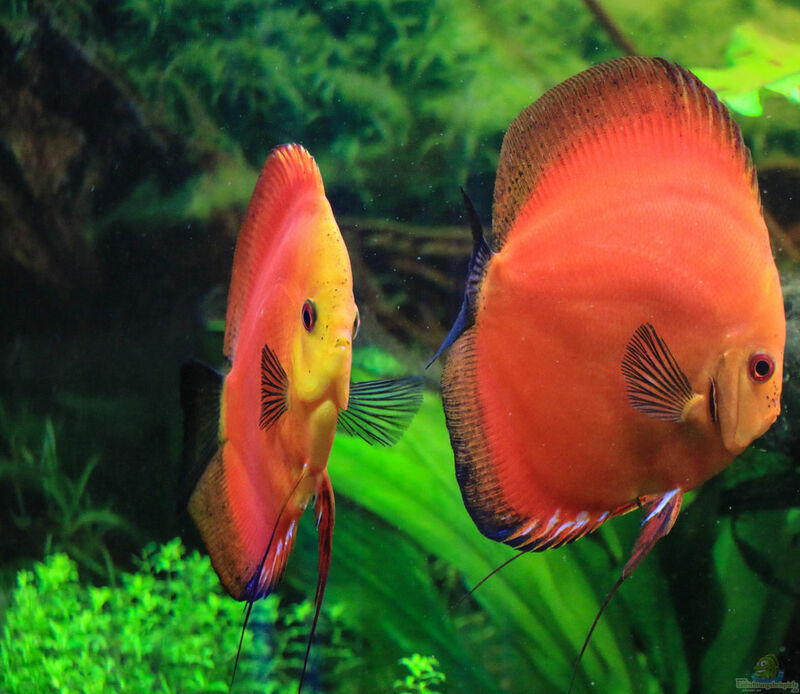 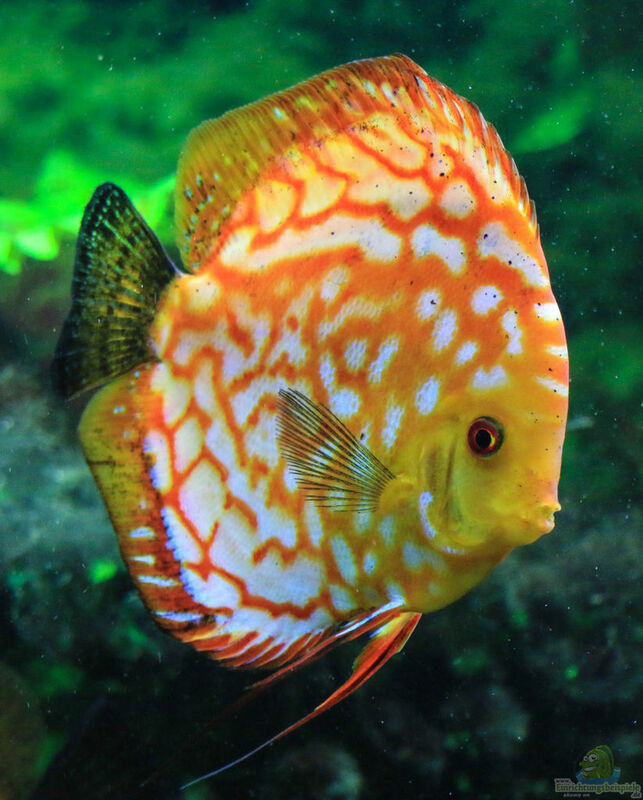 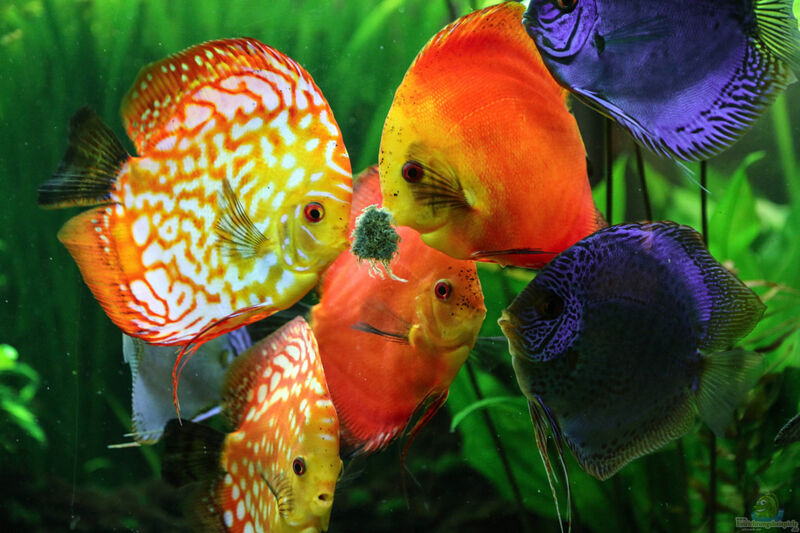 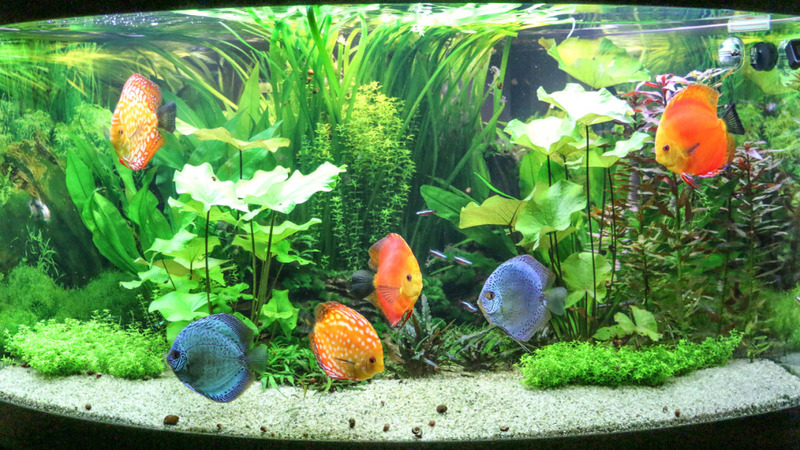 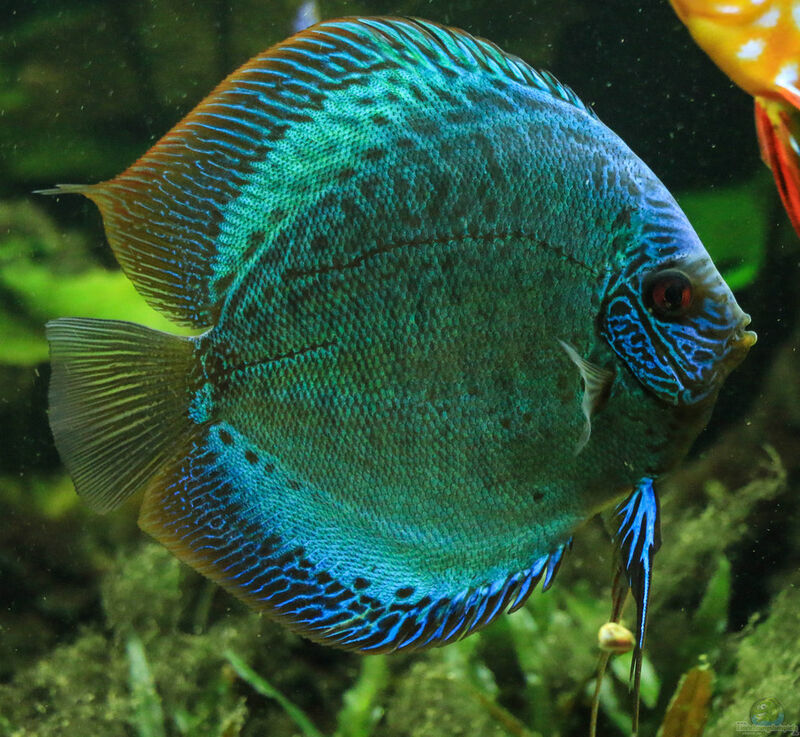 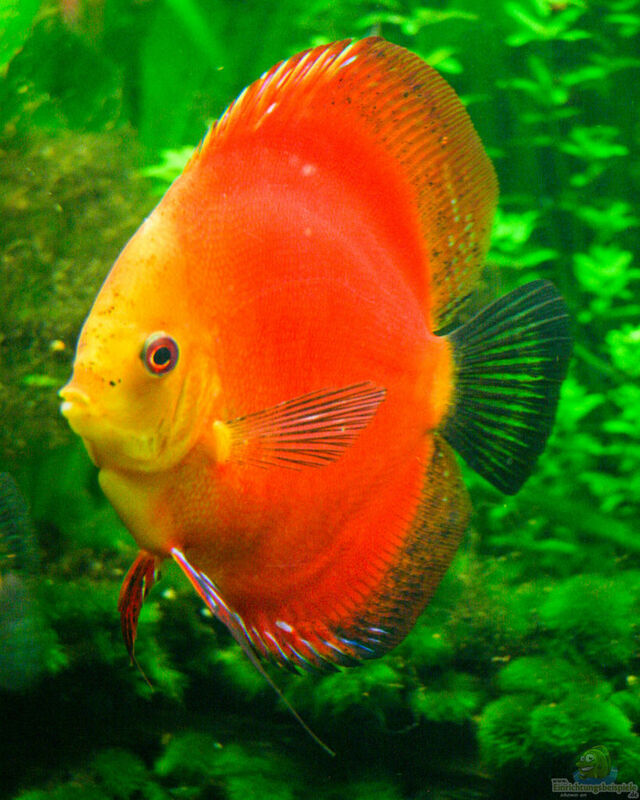 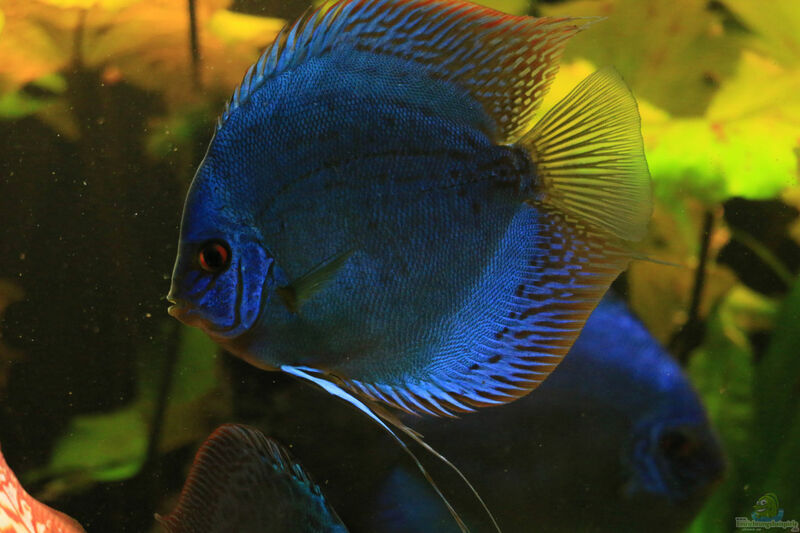 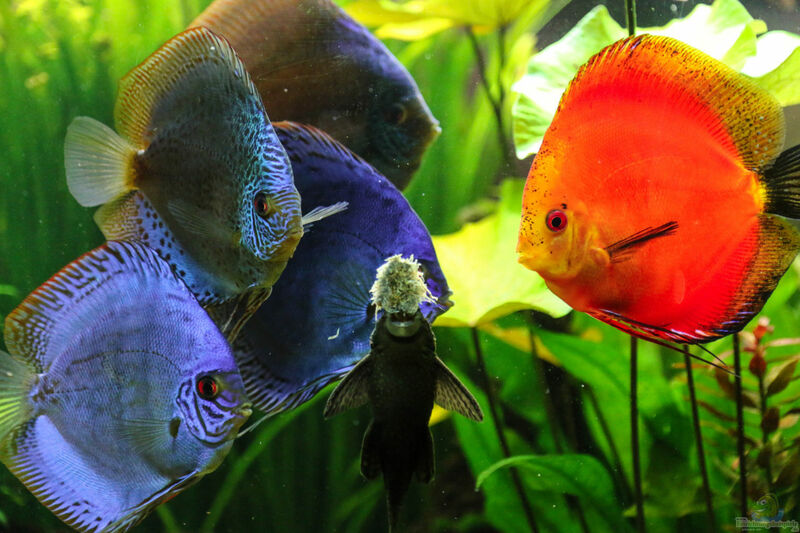 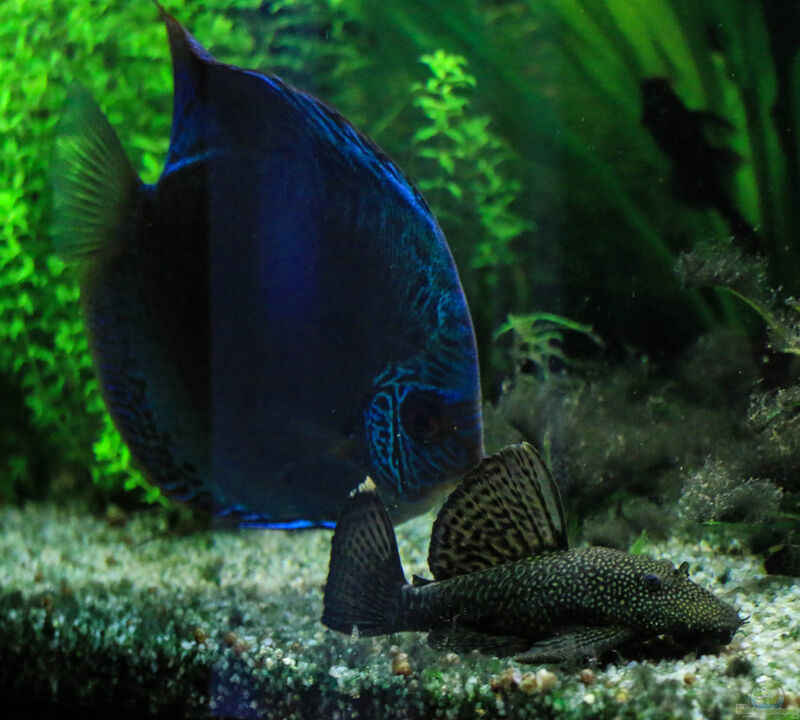 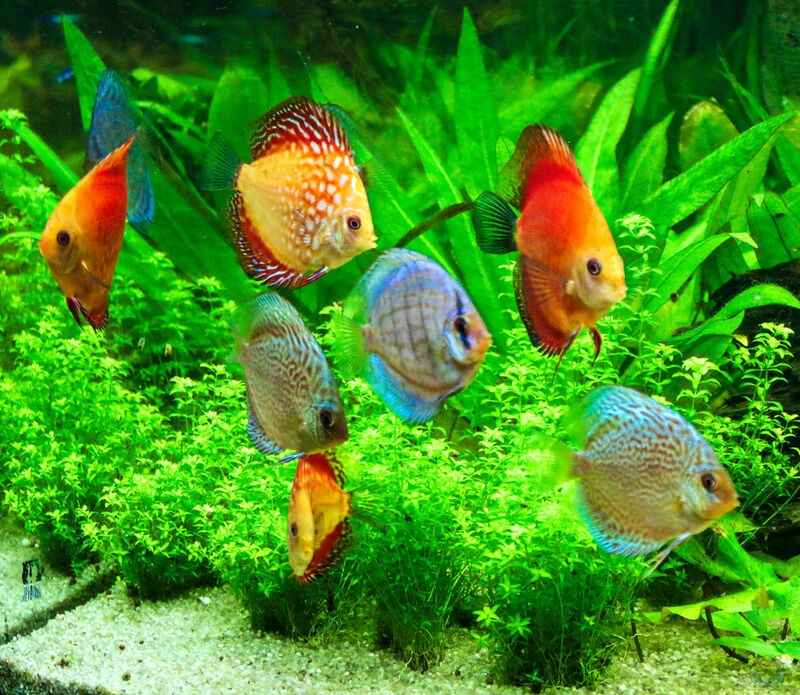 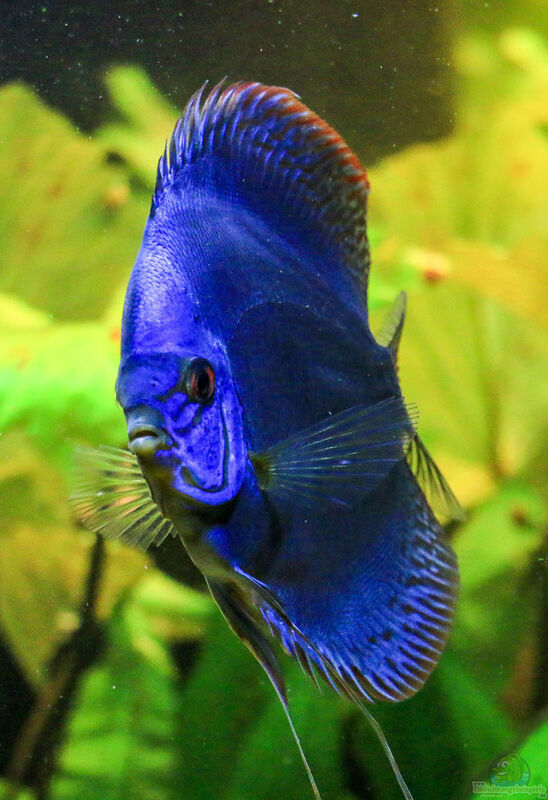 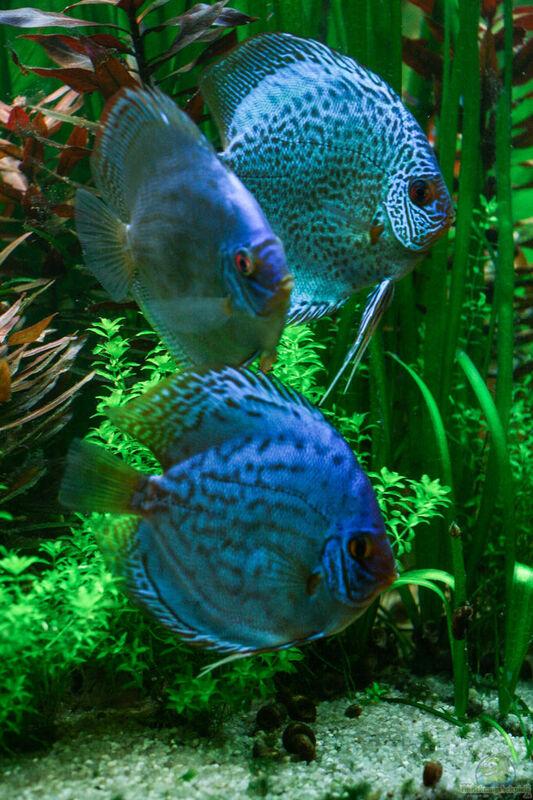 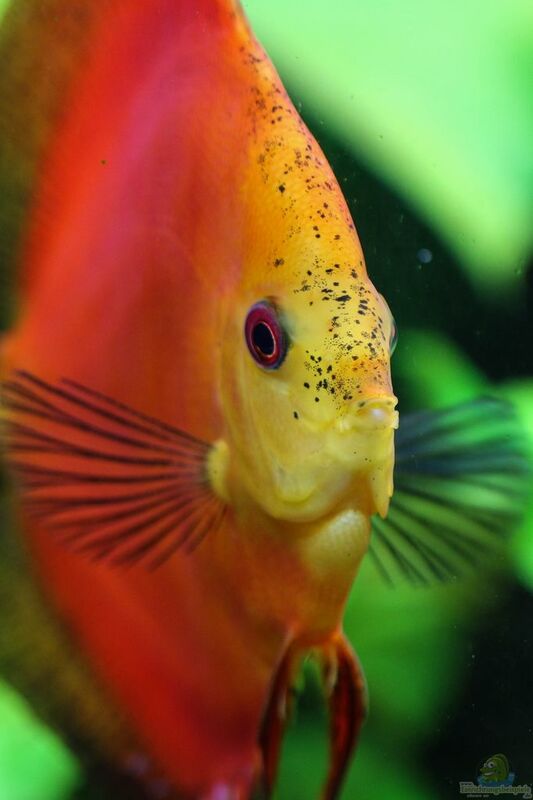 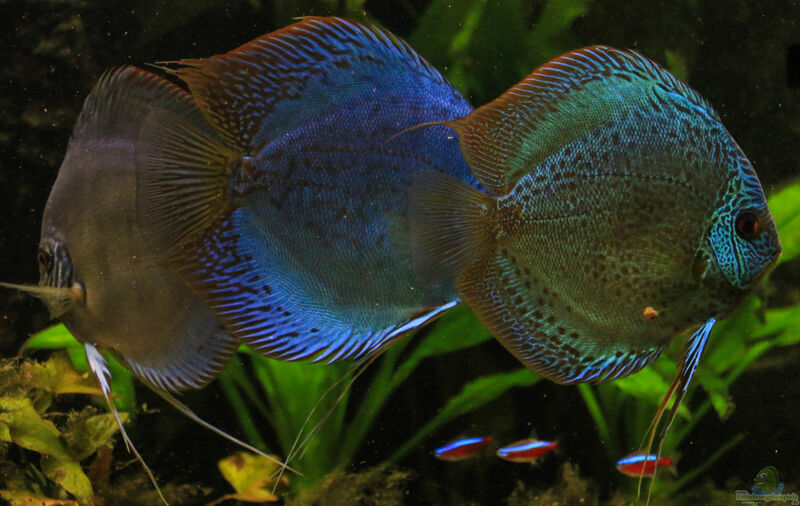 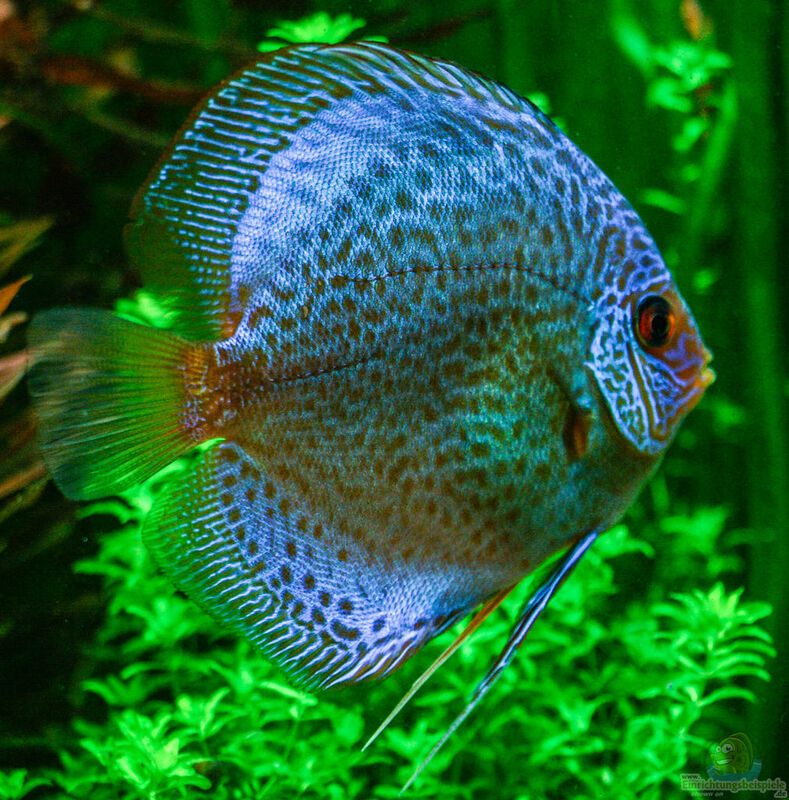 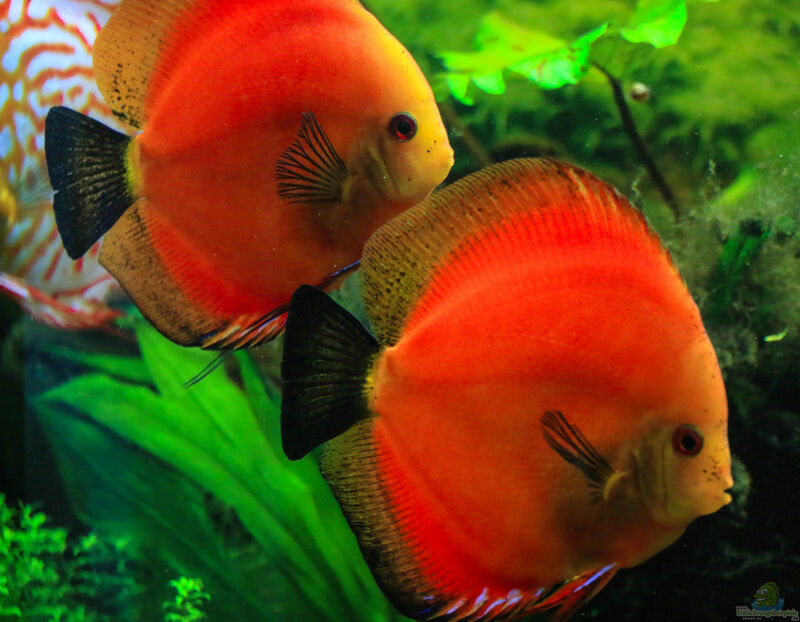 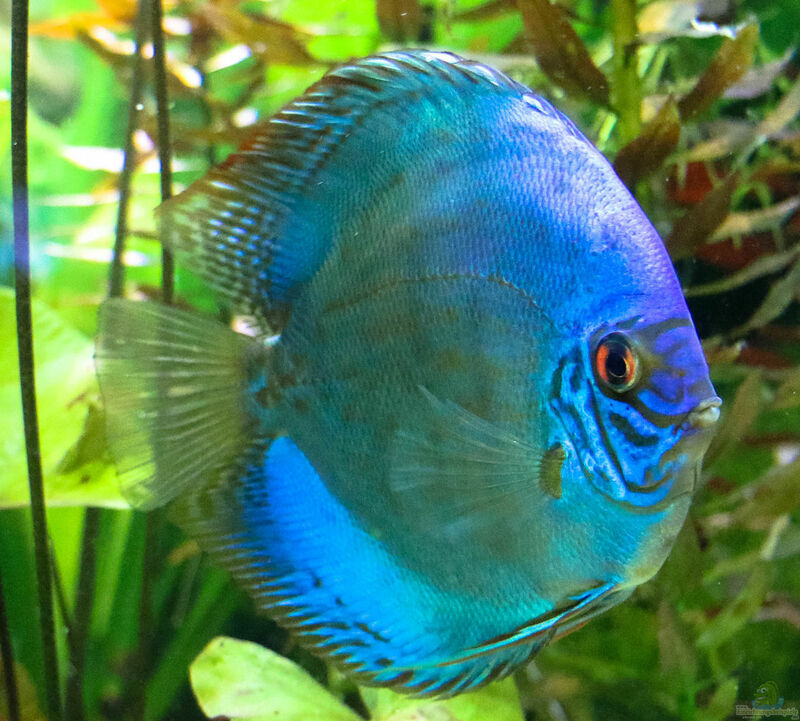 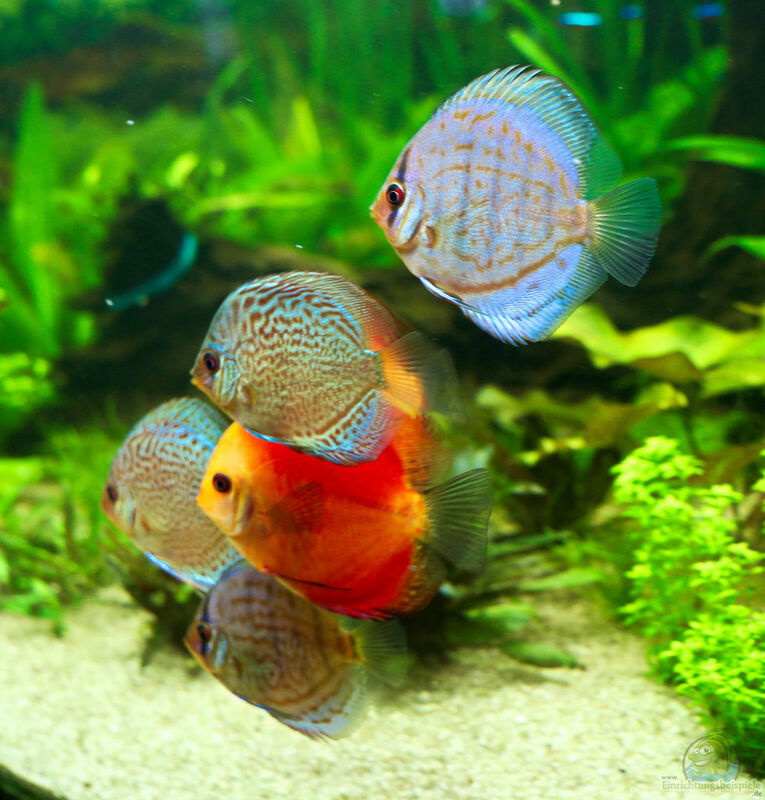 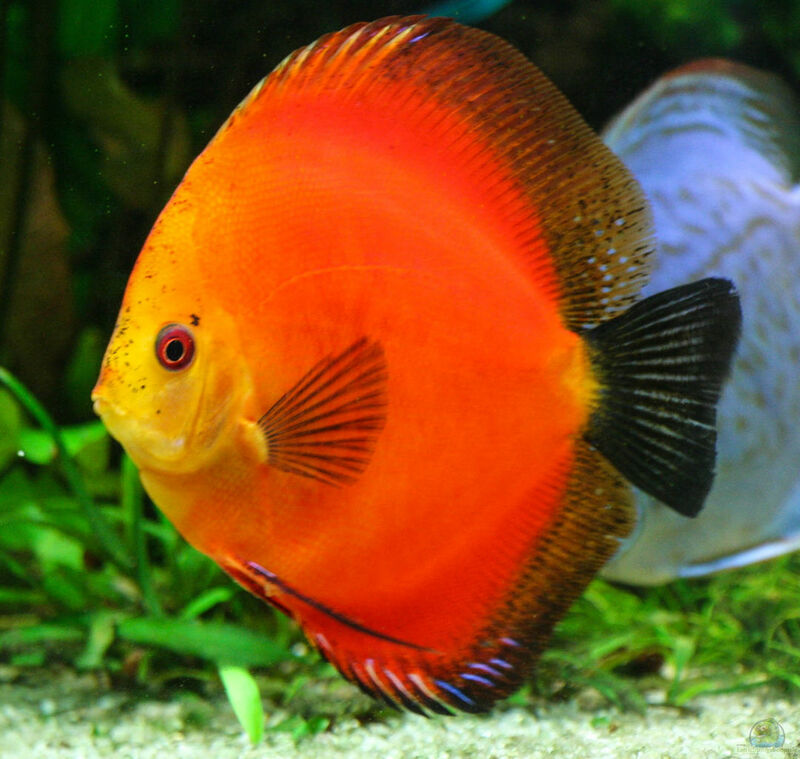 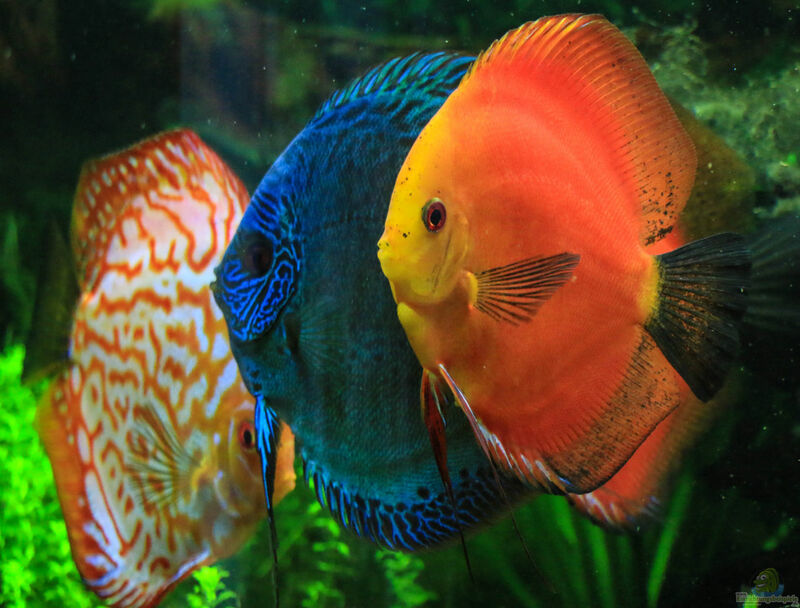 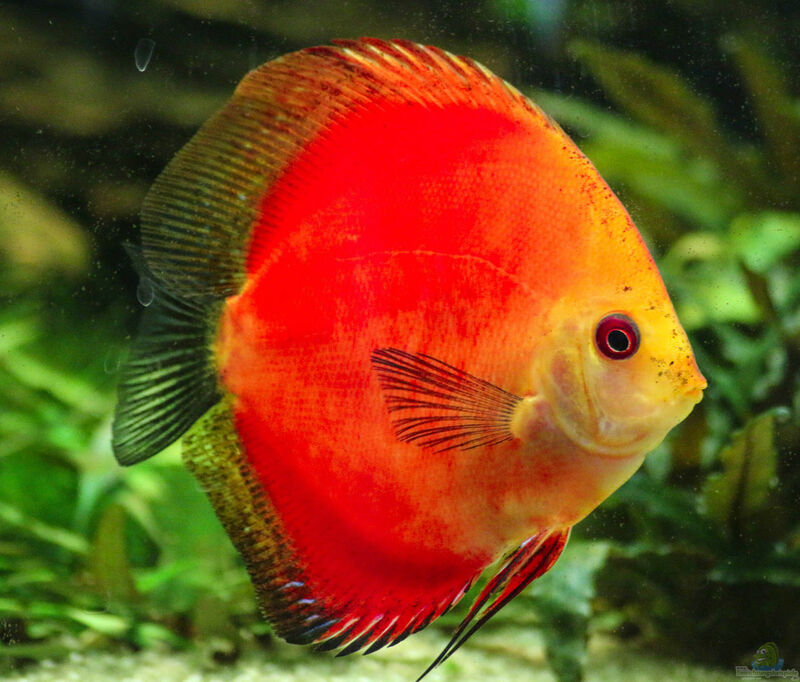 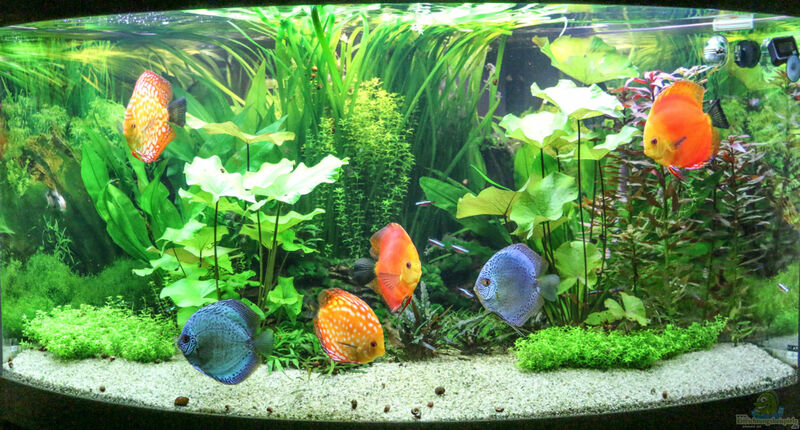 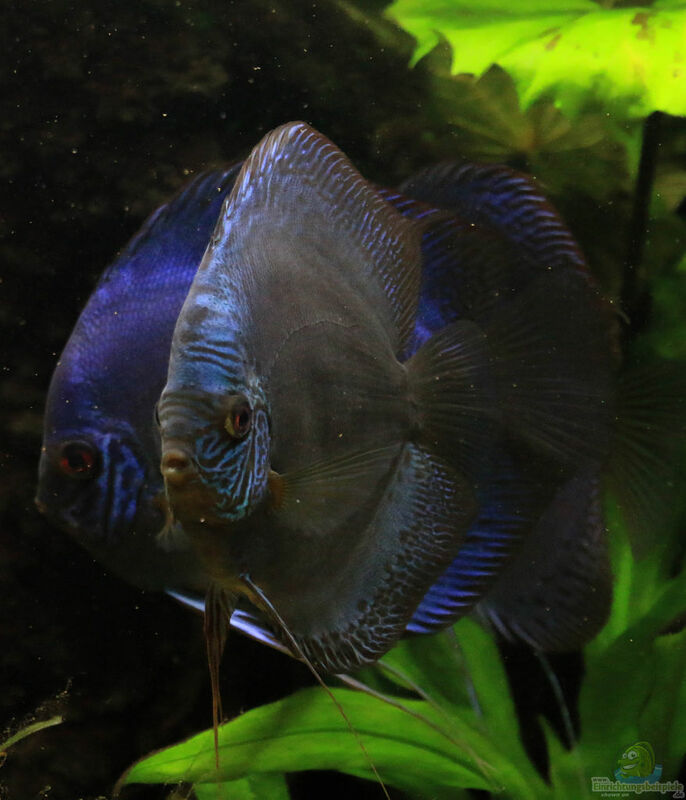 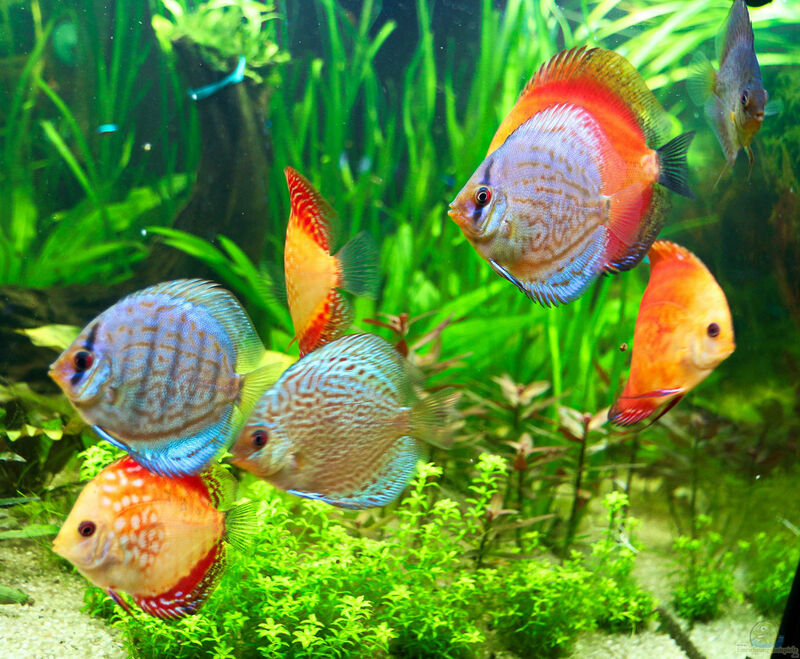 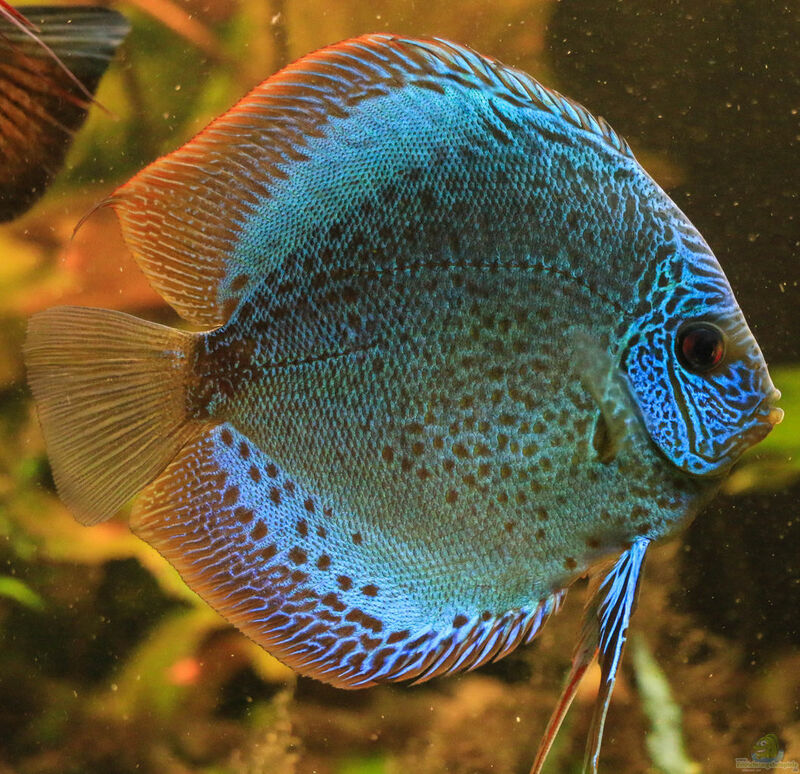 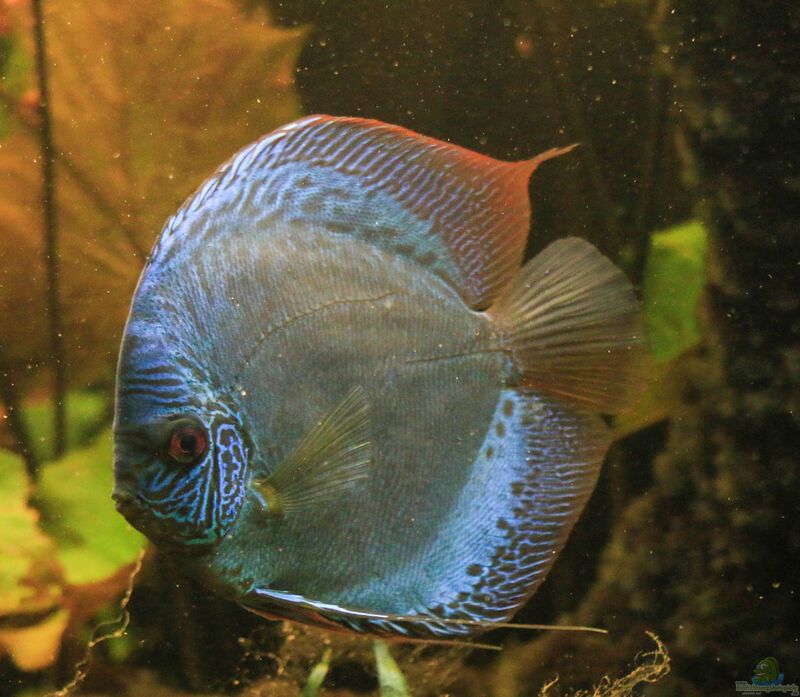 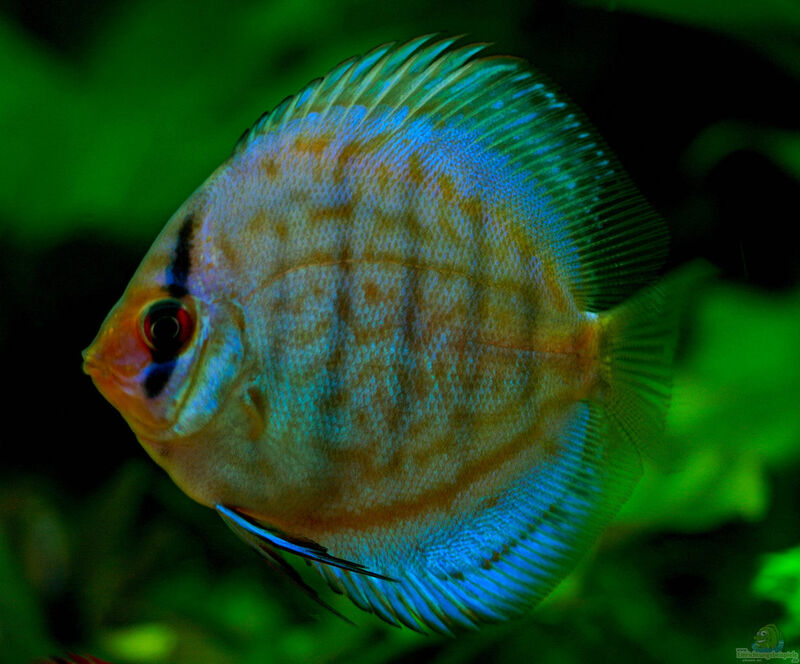 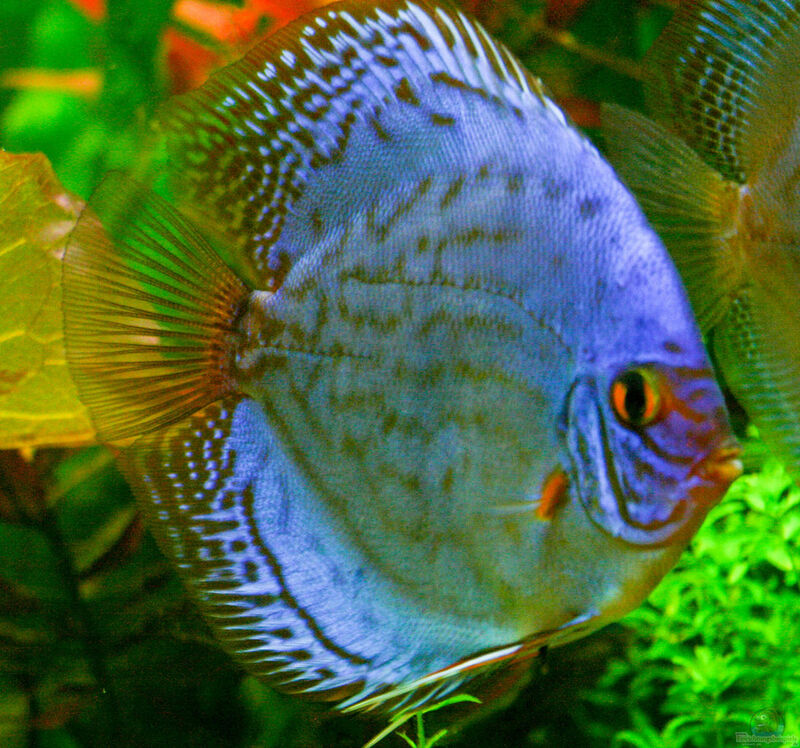 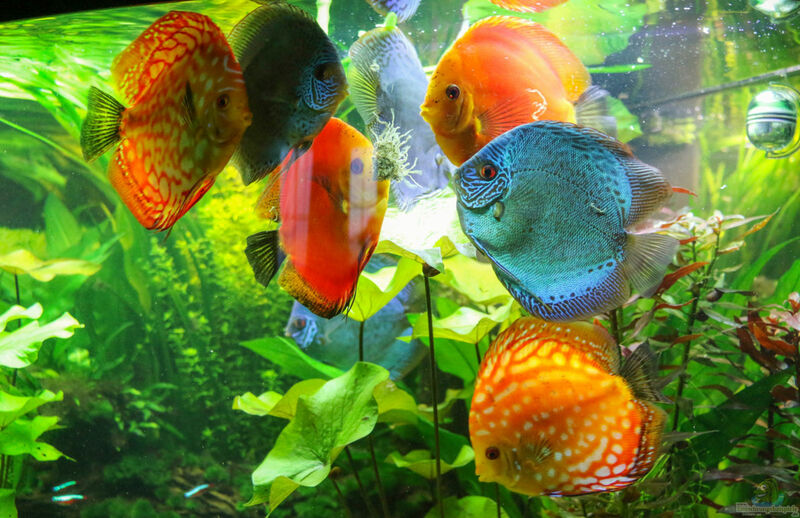 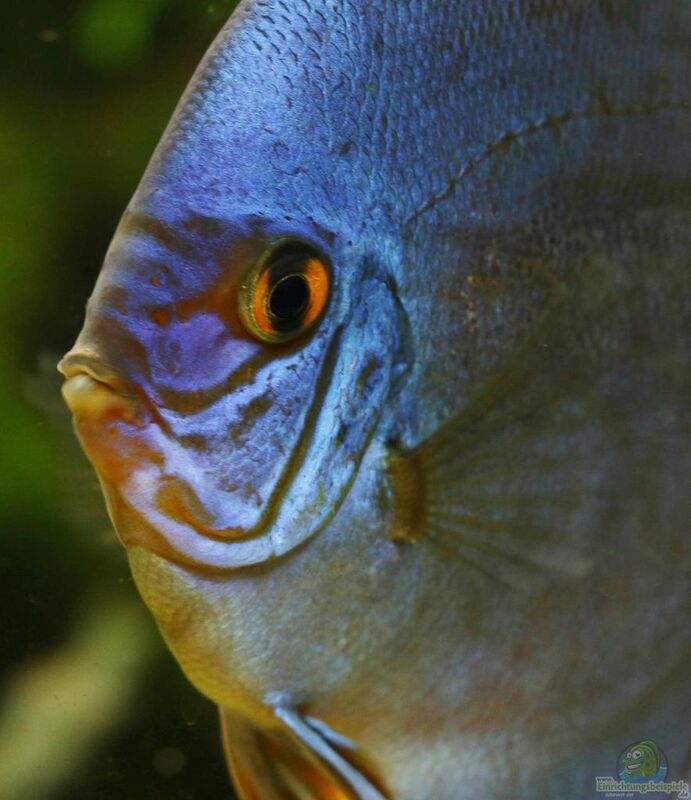 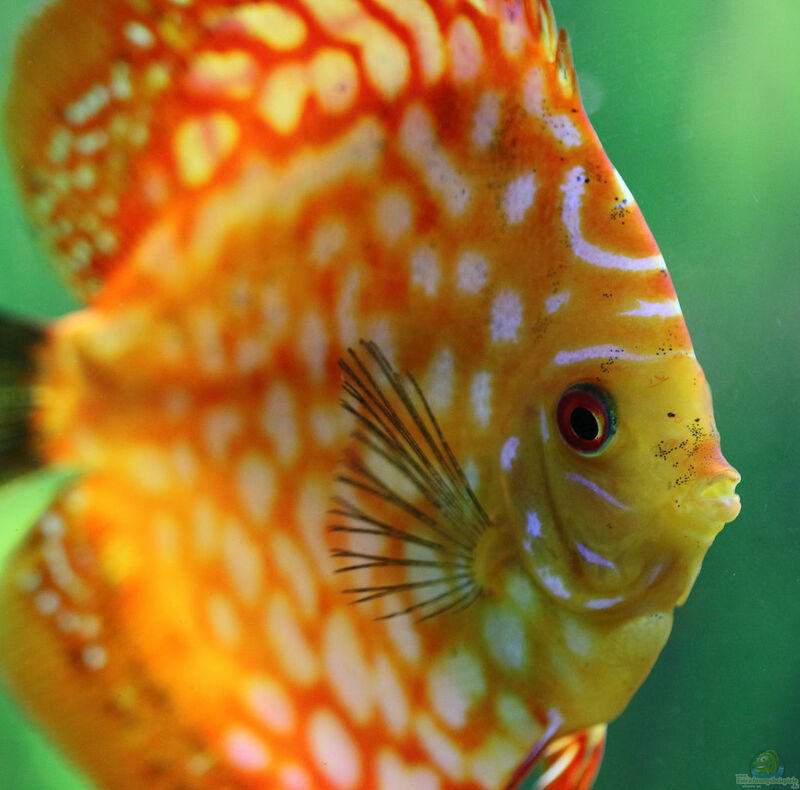 Discus Gold "Plankton Plus Daily", sera discus granules, soil tablet sera viformo, freeze-dried gloss worms ("California Black Worms").